THOSE WHO LIVE IN GLASS HOUSES SHOULD NOT THROW STONES! FORMER QUAIL SUMMIT BOARD PRESIDENT TERI ANDERSEN SUED PAUL HAZELL FOR DEFAMATION REGARDING SOME OF THE CONTENT ON THIS WEBSITE AND LOST IN ENTIRETY! 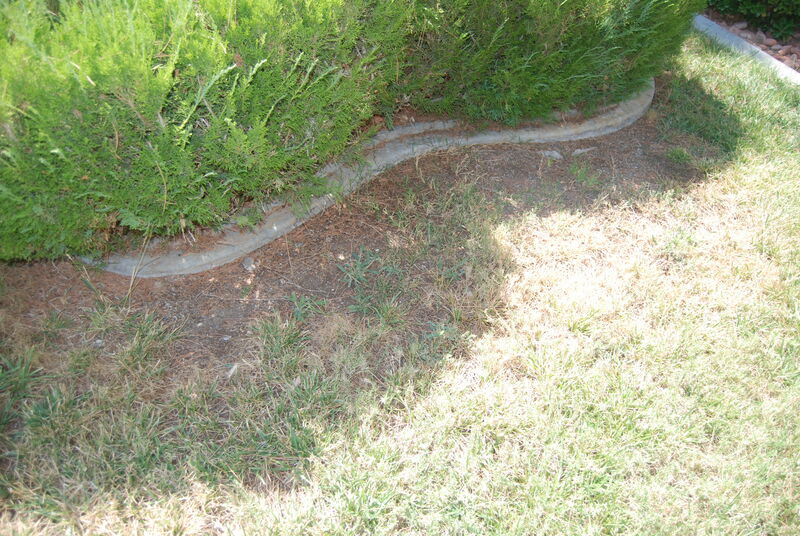 THIS WEBSITE IS DEDICATED TO exposing HOA HARASSMENT, SELECTIVE ENFORCEMENT & RETALIATORY ACTS, and other MALFEASANCE FROM BOARD MEMBERS, MGMT COMPANIES and their PREDATORY ATTORNEYS PAST & PRESENT! Decisions affecting the community are the ultimate responsibility of the board, and board members SHOULD be held accountable for these decisions. While the position is voluntary, board members should take their fiduciary responsibility to the association and its members seriously. All Quail Summit board members have a Fiduciary Duty to act in the best interests of the association. The fiduciary duty is the highest duty of care and loyalty recognized by law. It is the same duty owed by a doctor to a patient! and an attorney to a client. The fiduciary duty requires Quail Summit Directors to act with undivided loyalty; to act in good faith; to deal fairly; and to put the best interest of the association and the members before their own personal interests. A board member may not place his own interests ahead of the association or the membership. Quail Summit board members should not become power hungry or otherwise harass owners, which is exactly how many Quail Summit Board of Directors have acted towards me! I have created this website as a Public Concern to expose my experiences with my own HOA so that others may think hard before moving into a community that has an HOA. 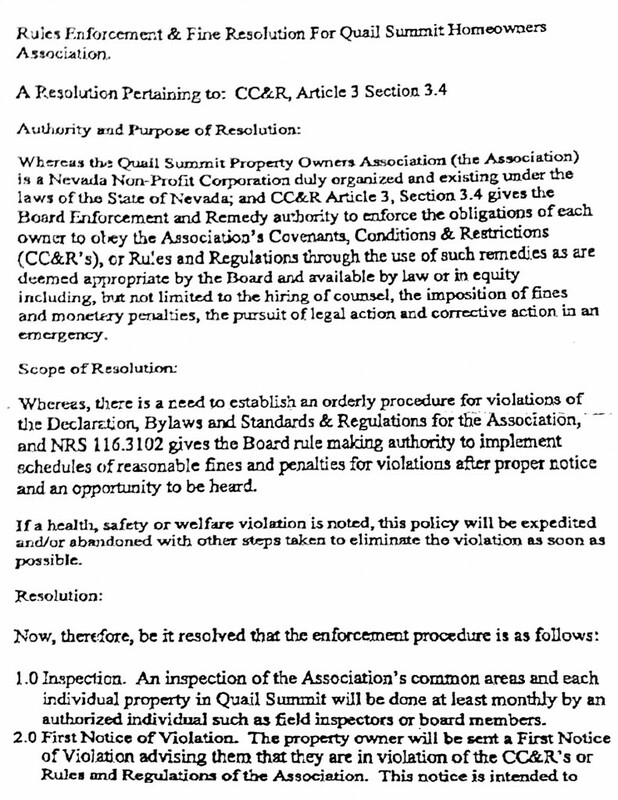 THE QUAIL SUMMIT PROPERTY OWNERS ASSOCIATION WAS ADMONISHED BY THE NEVADA REAL ESTATE DIVISION AND WAS ISSUED AN LOI. THE QUAIL SUMMIT BOARD DIVERTED FUNDS FROM REQUIRED RESERVES TO FUND OPERATING COSTS TO PAY ATTORNEY FEES RELATING TO THIS WEBSITE! THIS RESULTED IN THE ASSOCIATION BEING INSOLVENT! 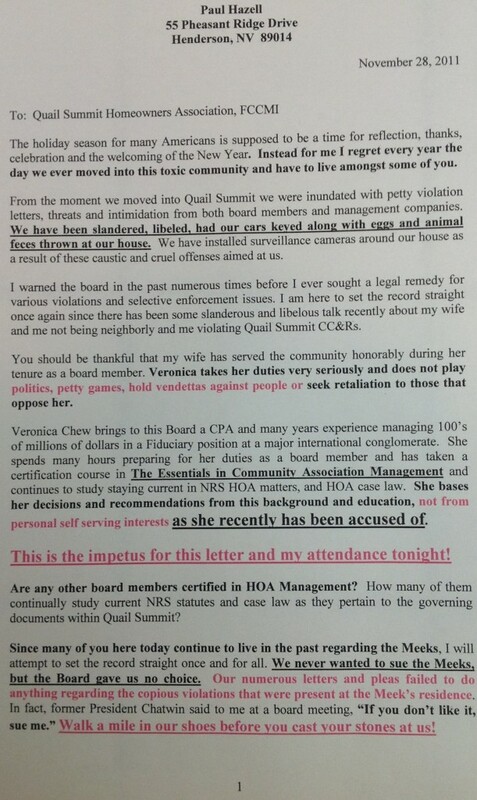 FORMER QUAIL SUMMIT PRESIDENT TERI ANDERSEN DENIED THIS AT A BOARD MEETING THAT TOOK PLACE IN HER HOME. FORMER FCCMI EMPLOYEE MARY ANN WATTS PLEADS GUILTY! 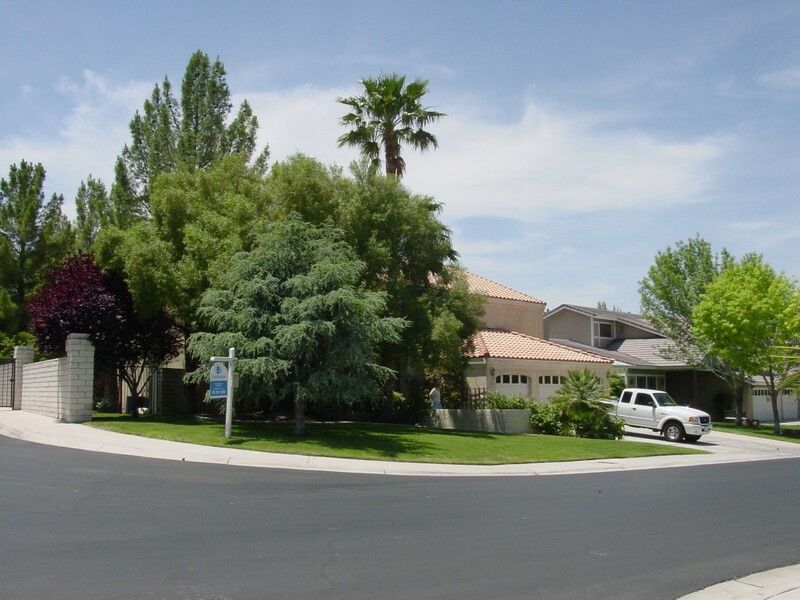 Mary Ann Watts, 64, pleaded guilty before U.S. District Judge James C. Mahan in the District of Nevada in connection with the scheme to defraud HOAs in the Las Vegas area. 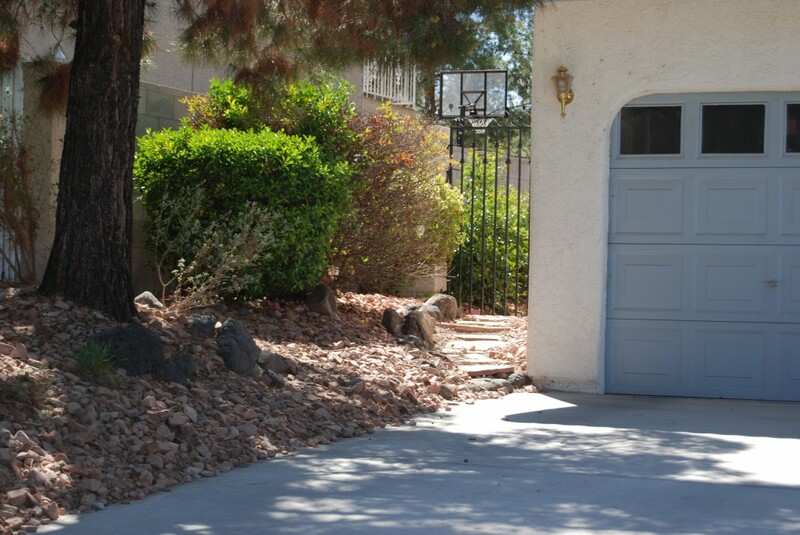 Watts admitted that from approximately the spring of 2006 until February 2009, as an employee or operator of property management companies in Las Vegas, she participated in a scheme to control various HOA boards of directors. According to plea documents, co-conspirators employed deceitful tactics in their attempts to win the board elections submitting fake or forged ballots. According to plea documents, Watts admitted that she employed co-conspirators and failed to disclose their conflict of interest to the HOA, in violation of her Fiduciary Duties. 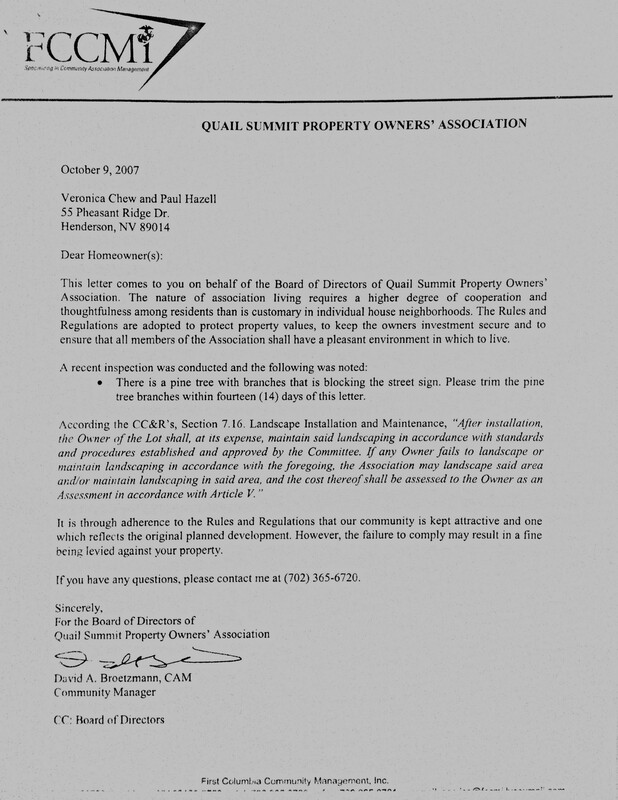 From the moment I moved into Quail Summit I have been inundated with petty violation letters, threats, intimidation and harassment from both board members and management companies. 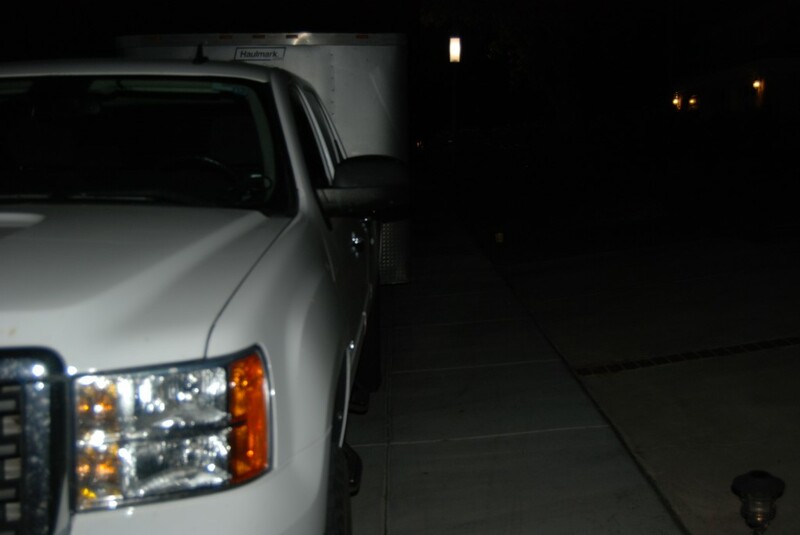 I have also been slandered, libeled, had several cars keyed along with animal feces and eggs thrown at my house. Additionally, I have been the victim of lewd acts, verbal abuse and threats from my former neighbor Jerry Babic who was also a board member when these heinous acts were perpetrated at me. Babic violated his Fiduciary Duty to me and the community with his egregious, outrageous, offensive, and disgusting adolescent behavior. 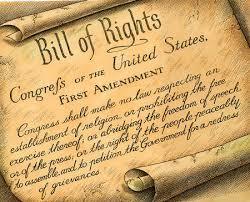 My “Constitutional Rights” have been VIOLATED! The wise person fashions their speech with their thought, sifting it as grain is sifted through a sieve. Some HOA Board Members purposely gain a position of power; in an attempt to compensate for their own deep rooted psychosis and will attempt to strike down the rights of others, in the name of grandiosity and EVIL maniacal gratification. Nothing destroys authority more than the unequal and untimely interchange of power stretched too far and relaxed too much. 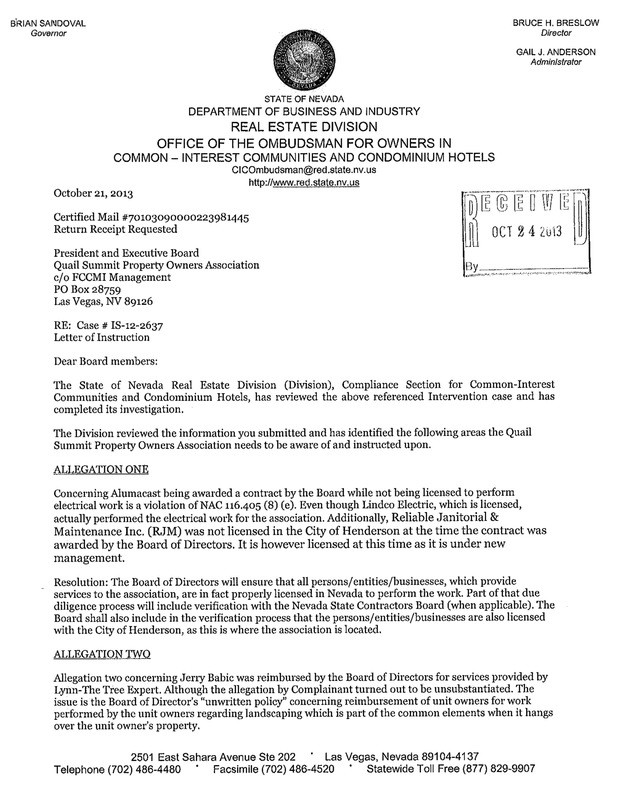 The Quail Summit Property Owners Association was justifiably sued by Paul Hazell for their egregious, capricious and offensive actions and were forced to pay a large out of court settlement! The only person who told the truth under oath from Quail Summit was Cheryl Miller!!! she was courteous, professional and testified honestly and wished Hazell good luck. For that Hazell thanks her! Too bad that can’t be said about the rest of the people who gave testimony in the Lawsuit that Hazell prevailed against both the Meeks and the Quail Summit Board of Directors for their egregious and capricious actions! Ms. Miller also testified that her neighbor was notified when she made changes to her landscaping, but yet Plaintiffs were not notified of the Meeks’s application. Ms. Miller was not asked to sign the approval. Suzanne Moon (ARC member) and Marilyn Cunningham (ARC member) signed the approval even though they did not conduct a site inspection. This directly contradicts what Ms. Miller said she told Ms. Sciarra at the inspection. I wonder if Moon would have approved them if they were next to her house? 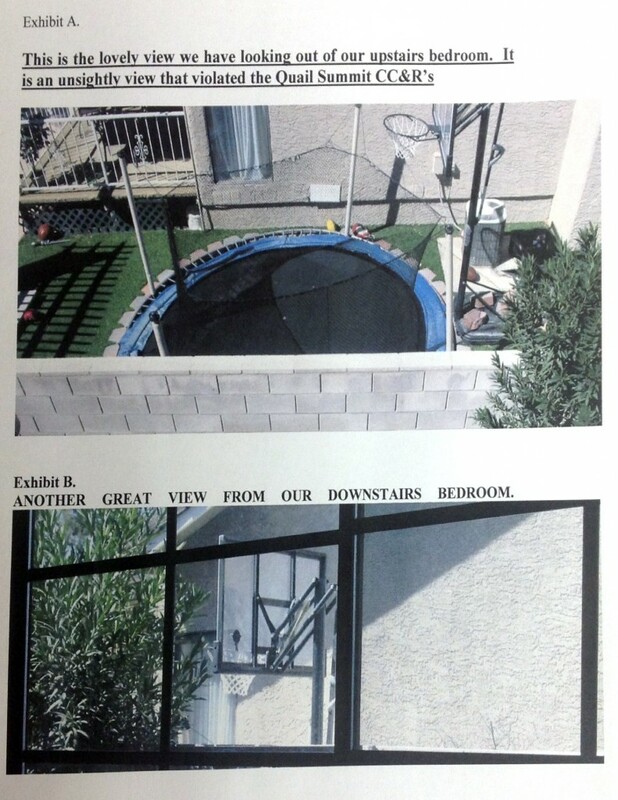 Ms. Sciarra admits that she did not consider the effect of noise from children playing on the in-ground trampoline immediately adjacent to Plaintiffs’ property. 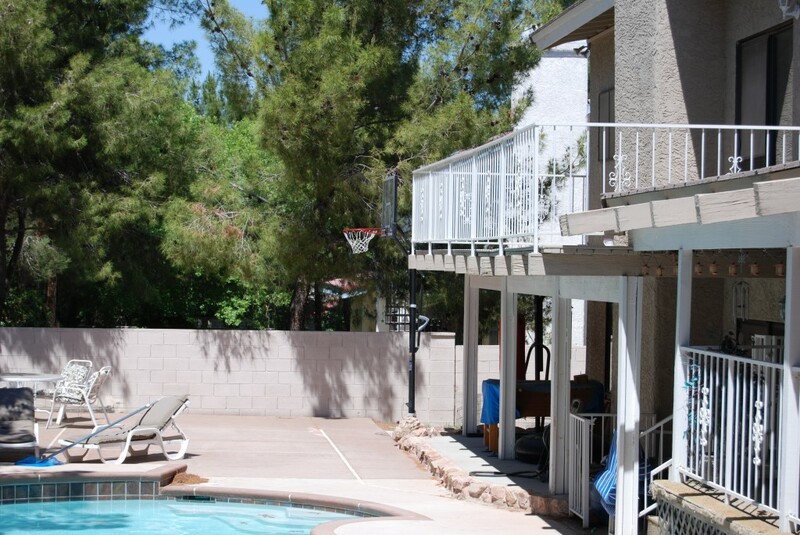 She admits approval of the basketball hoop was in violation of the Association’s rules. FCCMI & The Quail Summit Board in 2013 refused to provide Hazell a redacted “VIOLATIONS LIST“ that they are legally entitled to unders NRS 116! Could it be their continuing Selective Enforcment policies? Volunteer Quail board members are accountable to the association itself, as well as to the owners within the community! Hazell received petty violation letters yet BOARD PRESIDENT TERI ANDERSEN overlooked her own violations for years!!!!! DO AS I SAY NOT AS I DO!!!!! THIS IS CALLED SELECTIVE ENFORCEMENT AND IT IS ILLEGAL! LOOKS LIKE THE ADDAMS FAMILY AT THE ANDERSEN RESIDENCE!! THIS TREE WAS AN EYESORE FOR YEARS. THE BOARD WENT AFTER OTHERS FOR MINOR TREE TRIMMING BUT LET THIS PERSIST FOR YEARS!!! 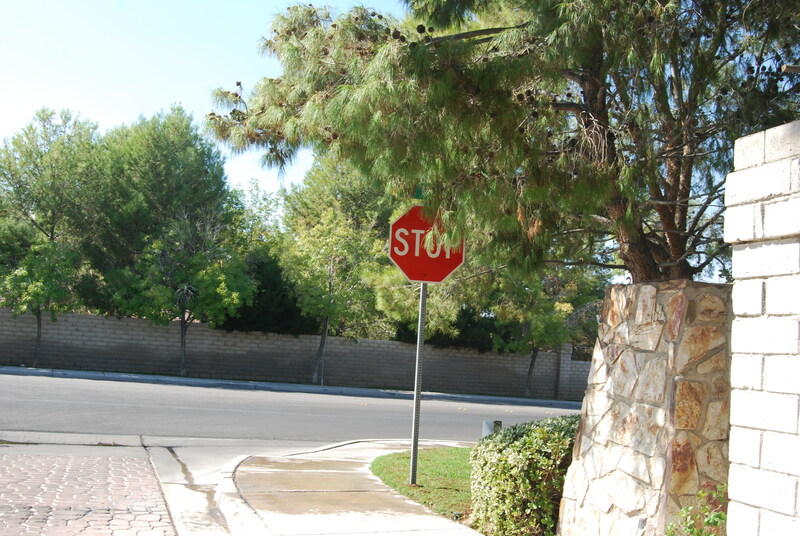 Andersen removed this eyesore of a tree in 2013 after this website was published! 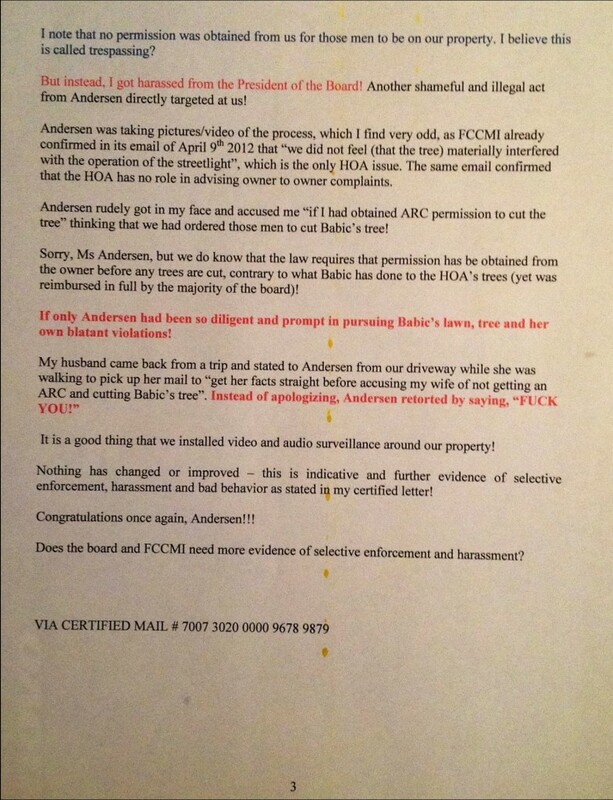 Why were My letters and pleas to FCCMI and the Board about Andersen’s violations overlooked for years? Martinelli was under the impression for whatever reason? that Veronica Chew was responsible for this violation! 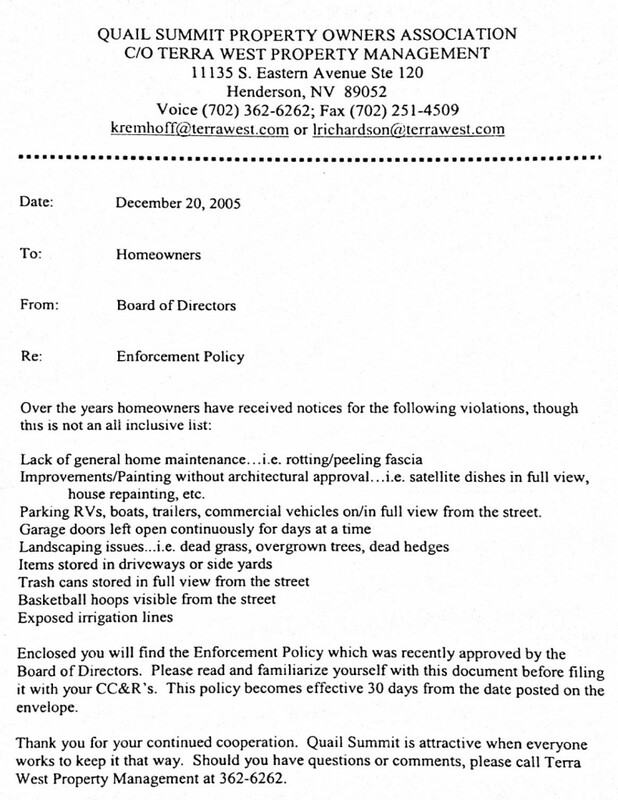 However, this violation was cited long before Chew was elected to the Board in January 2010! Teri Andersen and the rest of the Quail Summit Board INTENTIONALLY refused to vindicate Chew and never informed Martinelli that Chew was not responsible for his violation! 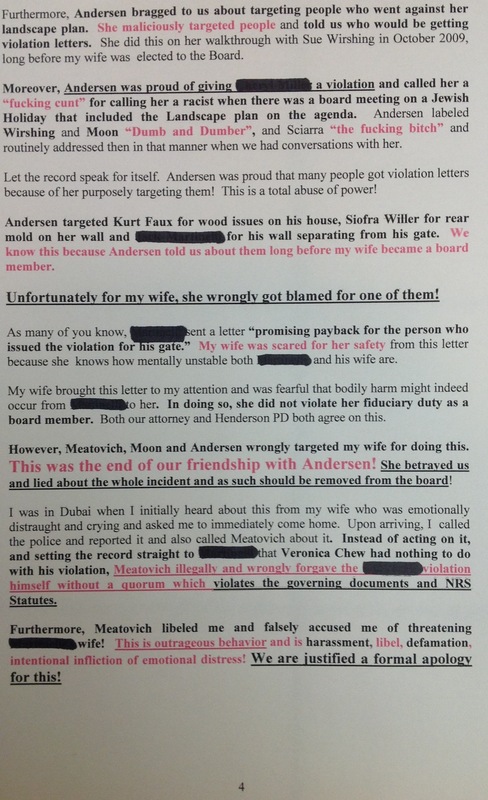 Chew felt threatened by this letter of “pay a visit to see what their problem is” and called the Henderson PD to report it. Meatovich INTENTIONALLY refused to let Martinelli know that Chew was not responsible for his violation! This is malicious, RETALIATORY, the intentional infliction of emotional duress, harassment, and downright evil! This is criminal! A Board President is acknowledging the FRIVOLOUS attacks but refused to vindicate a fellow board member! What was his real motives and agenda here? RETALIATION? Meatovich is on record of ACUSSING HAZELL OF BEING LITIGIOUS and this is not the first of many attacks against Hazell from Meatovich. 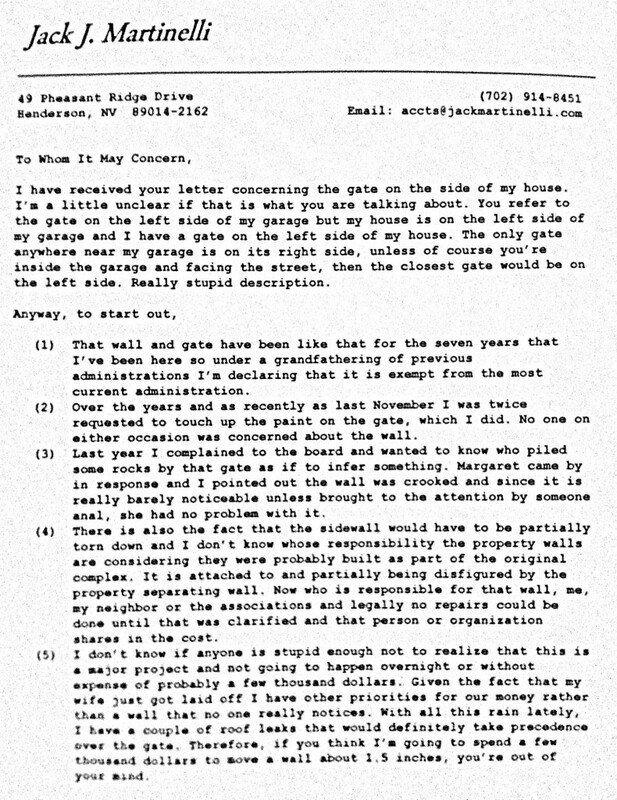 During his tenure as President, Meatovich was often a “Bully” to certain homeowners whom he specifically targeted! Including Hazell! Veronica Chew felt threatened that “bodily harm may occur to her” from Martinelli’s threats AND THE BOARD DID NOTHING TO PROTECT HER! THESE ACTIONS ARE EGREGIOUS, OUTRAGEOUS AND RETALIATORY!! Martinelli Gate March 12, 2013. 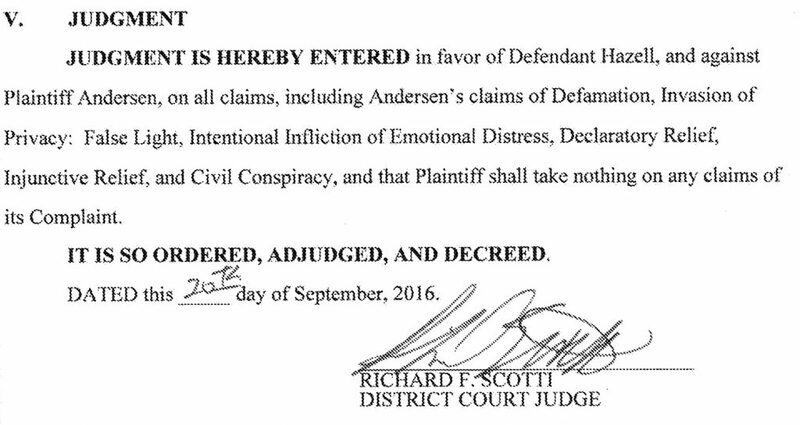 It has been Over 3 years since initial violation cited by Andersen and ILLEGALLY FORGIVEN BY MEATOVICH! Clearly rusting and in need of paint! 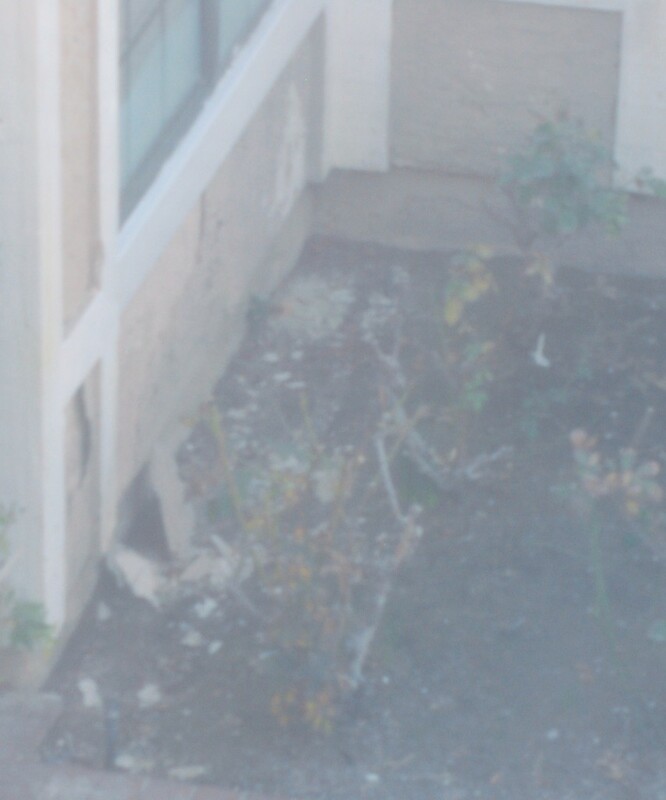 Wall has structural issues and is listing towards neighbors property and has cracked! 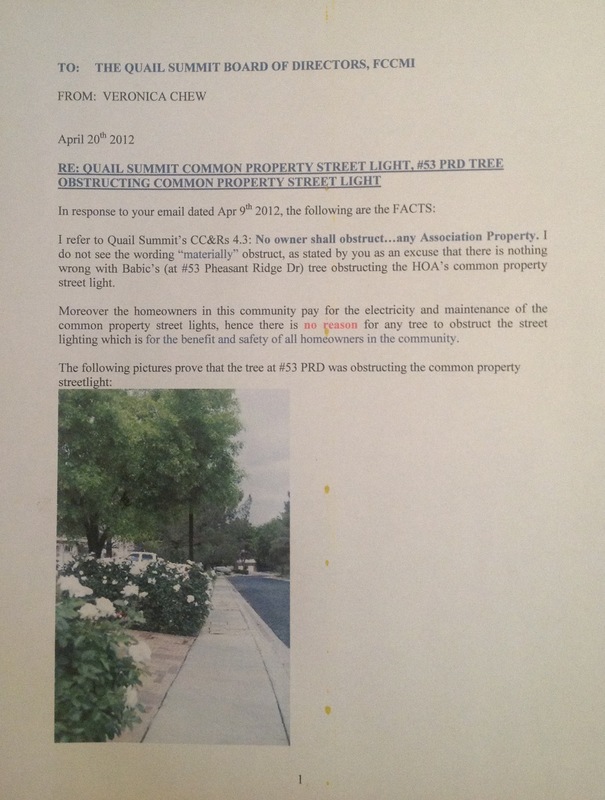 BLATANT VIOLATION OF ARCHITECTURAL STANDARDS SET FORTH IN QUAIL SUMMIT GOVERNING DOCUMENTS! The only logical thoughts in Martinelli’s rambling diatribe is his reference to former QUAIL SUMMIT HOA PRESIDENT CHATWIN AND HIS ILLEGAL BASKETBALL HOOPS! Hazell inquired numerous times about Chatwin’s illegal basketball hoops at board meetings and with certified letters. However, Hazell’s inquiries were met with laughter and verbal attacks from Chatwin. Hazell was justifiably concerned about a change in policy and enforcement from a letter that that was signed by John Chatwin (HOA President in 2005) and Pam Ghertner on 12-22-2005. This CHANGE IN POLICY addressed among other things, basketball hoops and satellite dishes within Quail Summit boundaries. 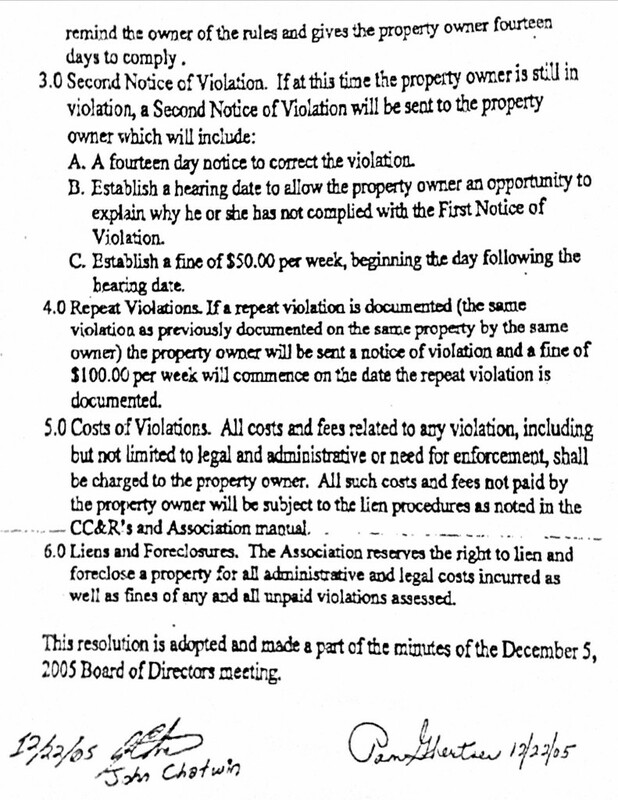 Do you think it is fair for board members to target others with fines and other thuggery when their own homes are in violation? 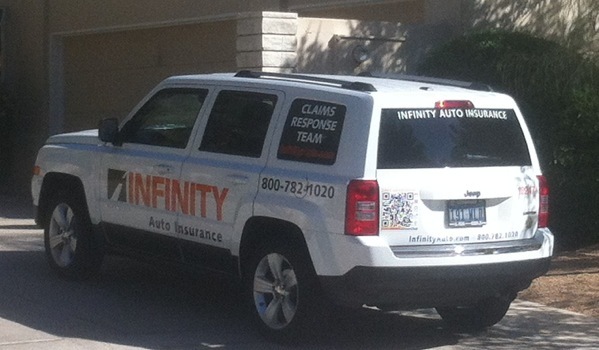 Selective Enforcement documented clearly by these fools! 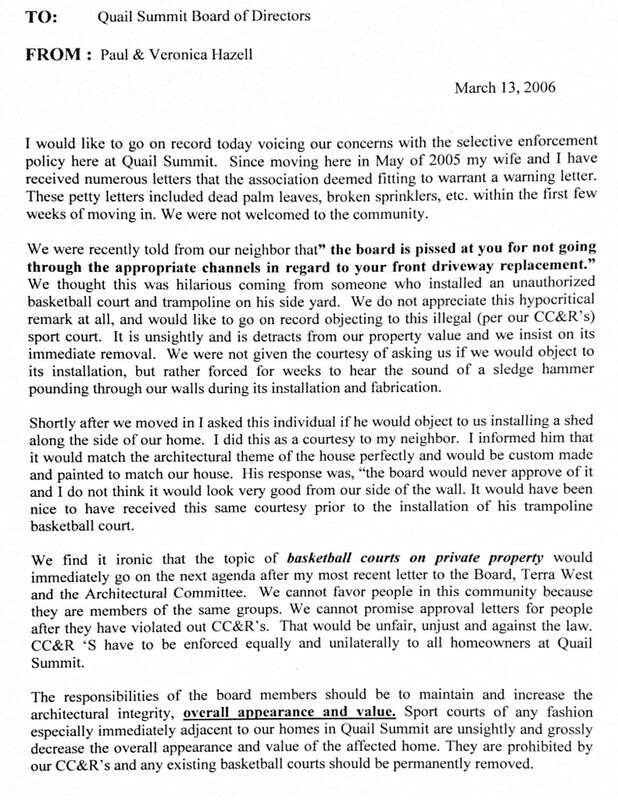 Jack Martinelli was ordered to remove his “sport court” on the side of his house, yet Chatwin has two illegal hoops and a satellite dish clearly visible in front of his house! 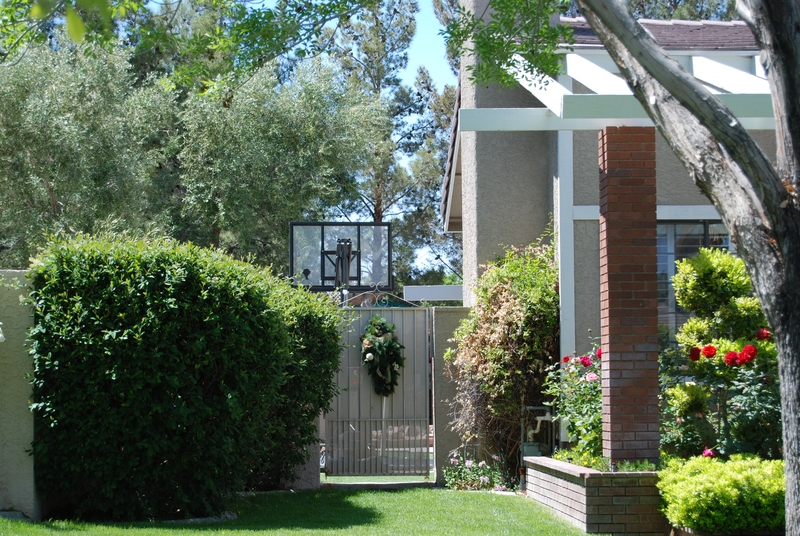 The Buendias were also ordered to remove their portable basketball hoop from their driveway and street! Even more egregious and self serving was the board giving a “variance” to the Meeks for their illegal basketball hoops in 2007! 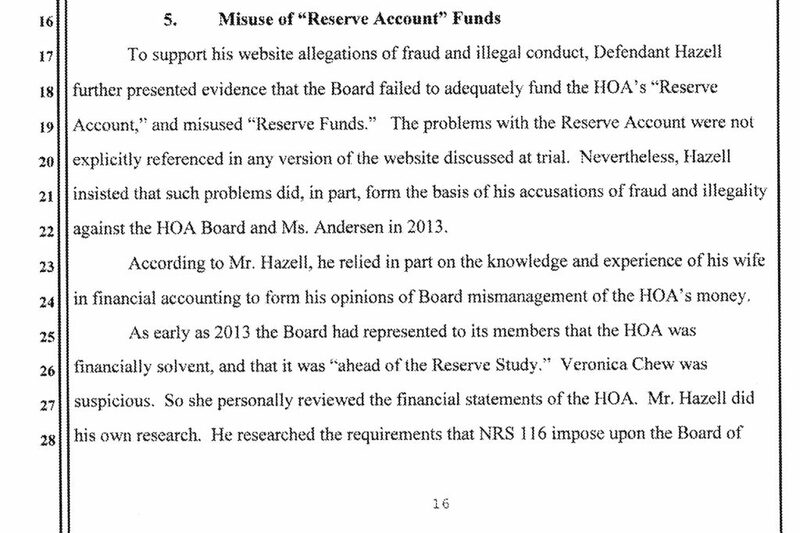 THIS WAS A PATHETIC ATTEMPT TO COVER UP THEIR GROSS MALFEASANCE AFTER THEY WERE JUSTIFIABLY SUED BY HAZELL! Meeks Illegal basketball hoop after change in fine policy in 2005. 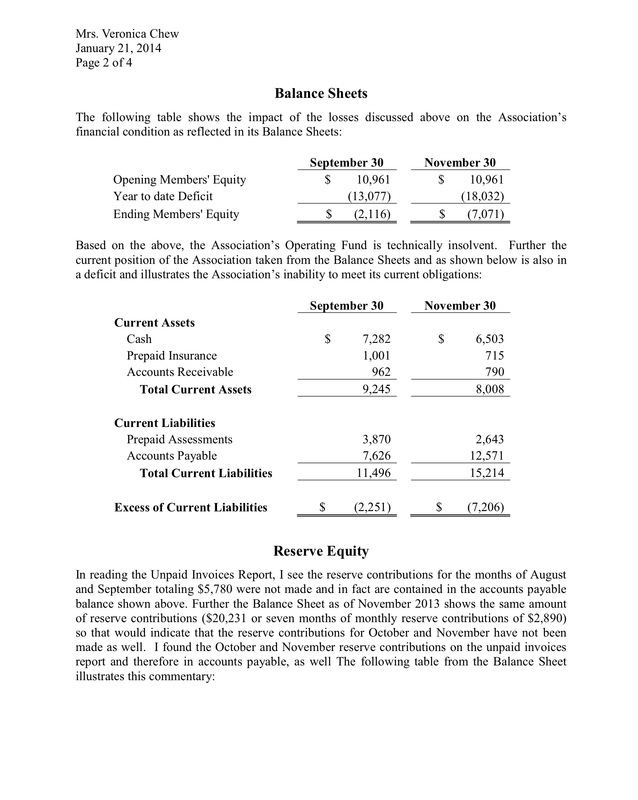 Clearly Selective Enforcement and Violation of Fiduciary Duty by Board of Directors! 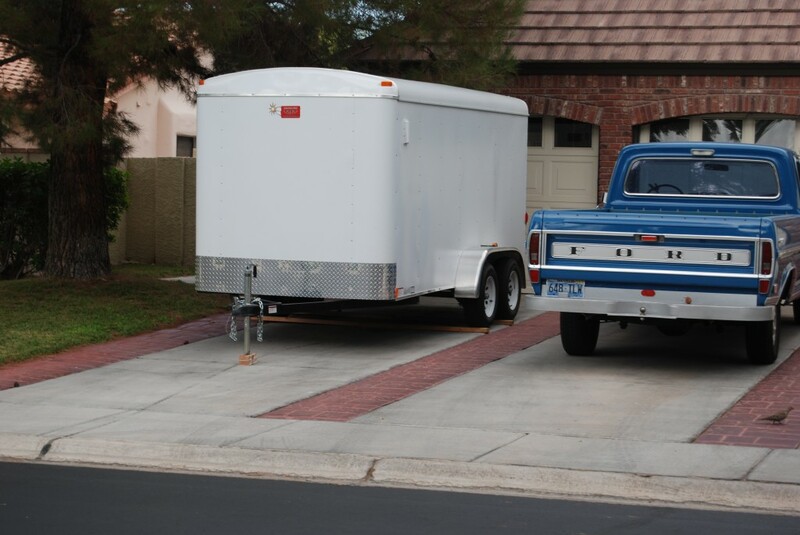 JOHN CHATWIN AND PAM GHERTNER AND THE REST OF THE QUAIL SUMMIT BOARD REFUSED TO ENFORCE THE CC&Rs and RULES & REGULATIONS WITHOUT PREJUDICE AND THEIR OWN PERSONAL AGENDAS IN DEALING WITH THE MEEKS ILLEGAL STRUCTURES. HOWEVER, THE MEEK’S ILLEGAL STRUCTURES WERE LEGALLY ORDERED REMOVED! BUT HE WILL FINE YOU IF YOU HAVE THEM! THE MEEKS WERE GIVEN A VARIANCE FOR THIS BASKETBALL HOOP BUT OTHERS WERE FORCED TO TAKE THEIRS DOWN! THAT IS CALLED SELECTIVE ENFORCEMENT!!! 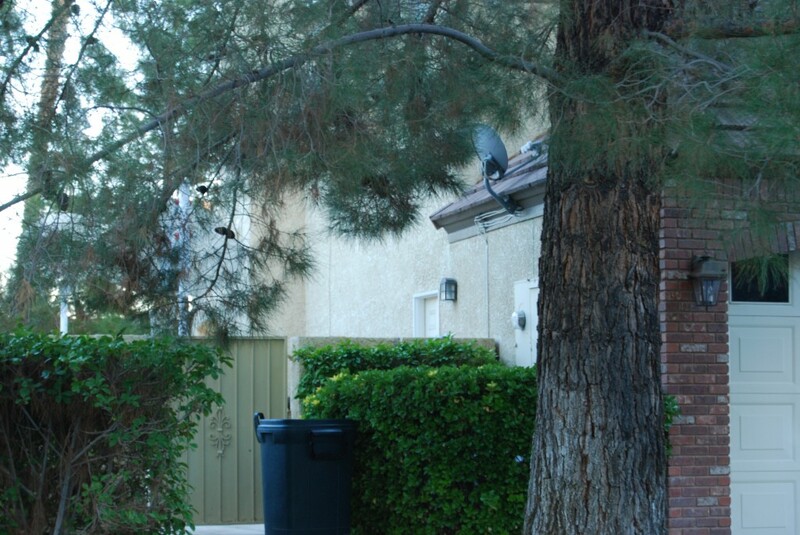 Trash Can visible from the street and Satellite Dish. 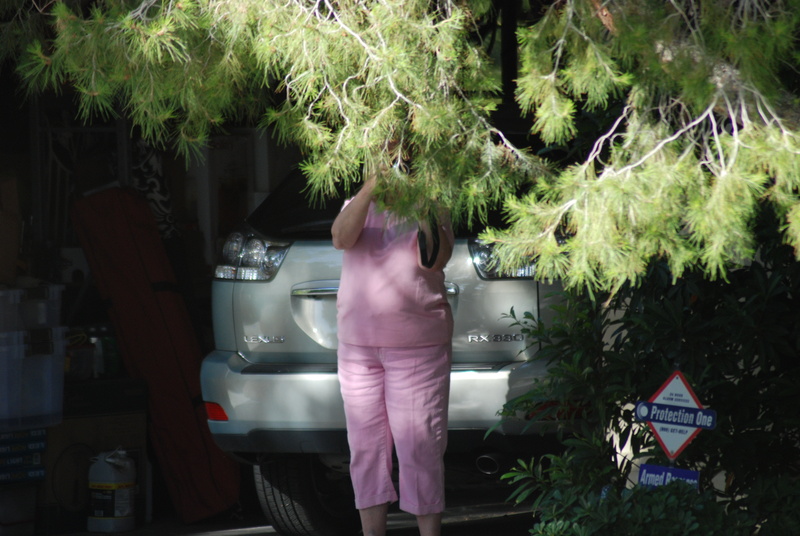 Pam Ghertner had no problem going after her neighbors “jungle gym colors” and the height of the rear wall with another neighbor but violated her Fiduciary Duty to the Hazells and the rest of the community in dealing with the Meek’s numerous permanent illegal structures that were in violation of both Henderson Municipal Code and Quail Summit Governing Documents! 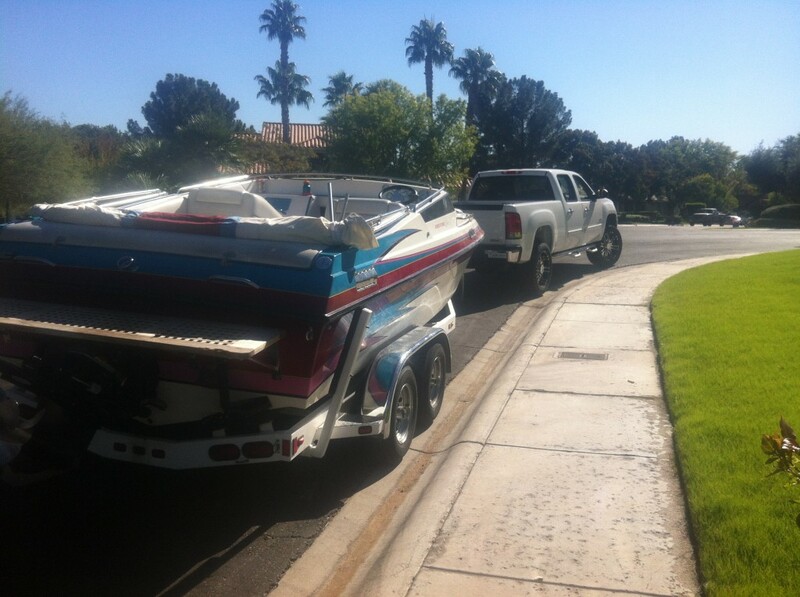 HOWS THAT FOR BEING NEIGHBORLY! Pam Ghertner had issues with “jungle gym colors” and “wall heights” with her neighbors but it was ok for the Hazells to look at the following pictures through their windows! I wonder what Gerthner would do if she had to look at these? I have an idea!!! Complete and total HYPOCRIT!! Ghertner , Chatwin and the rest of the board was put on notice in early 2006 about these egregious and illegal structures and did nothing about it! SAME CIRCUS DIFFERENT CLOWNS IN 2013! A LONG HISTORY OF ABUSE! I WONDER WHAT GHERTNER WOULD DO ABOUT THESE ILLEGAL STRUCTURES THAT SHE IGNORED FOR YEARS IF THEY WERE INCHES FROM HER PROPERTY LINE? John Chatwin and Pam Ghertner and the rest of the Board ignored these illegal structures for years! 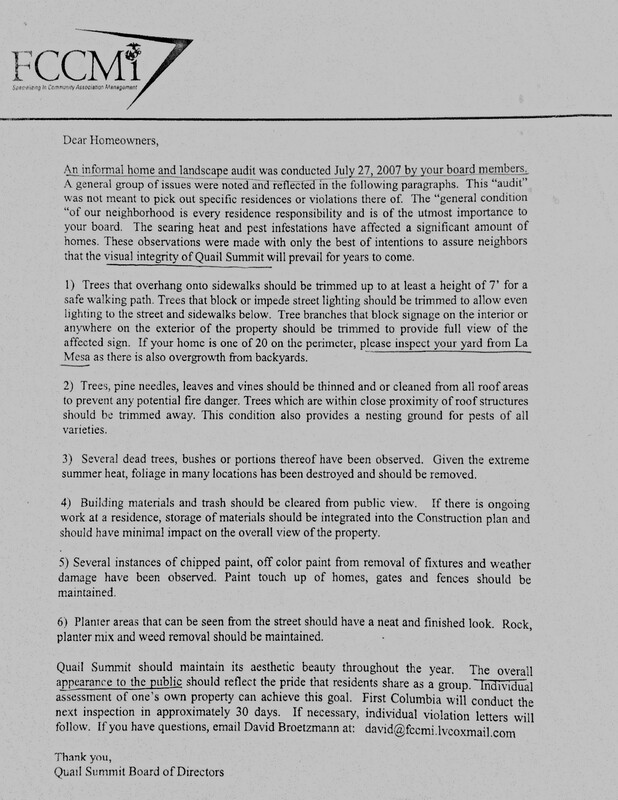 ARC REVIEW NEIGHBOR IMPACT FORM PRIOR TO STARTING CONSTRUCTION ON THESE STRUCTURES THAT VIOLATED BOTH HENDERSON CODE AND QUAIL SUMMIT GOVERNING DOCUMENTS! OTHER HOMEOWNERS WERE REQUIRED TO FILL OUT THIS FORM PRIOR TO ANY APPROVALS! 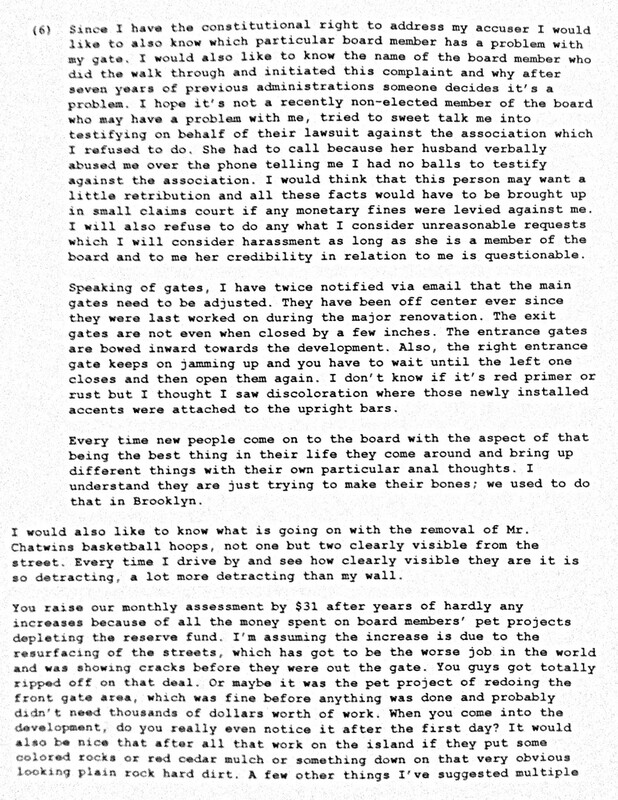 This letter was given to the board at the Faux residence and there was no reply by the board! John Chatwin verbally abused Hazell at this meeting and lauged at him when Hazell presented his concerns. 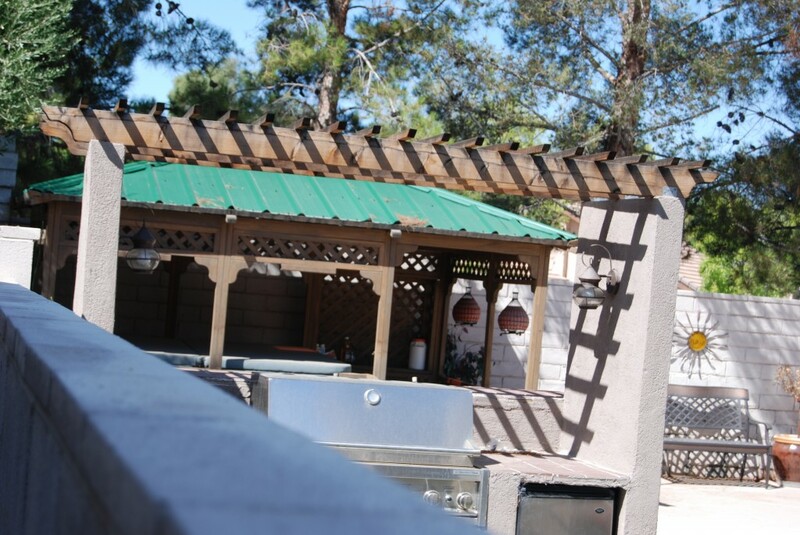 Meeks illegal basketball hoop that was legally ordered removed by the court since the Quail Summit Board of Directors refused to do anything about them but took action on others for the same offense. VIOLATION OF FIDUCIARY DUTIES ARE SERIOUS OFFENSES! 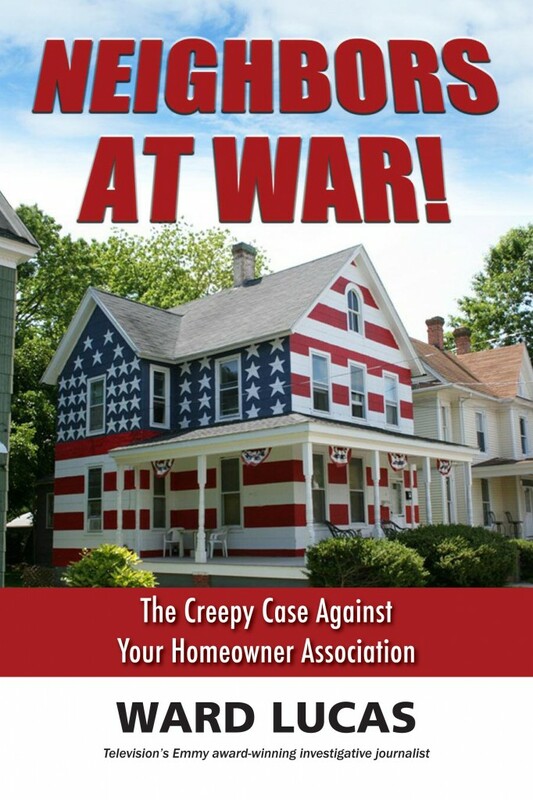 Neighbors At War is a critical examination of the modern Homeowners Association movement, (HOA) and how it has robbed 62 million Americans of their civil rights as outlined in the U.S. Constitution. 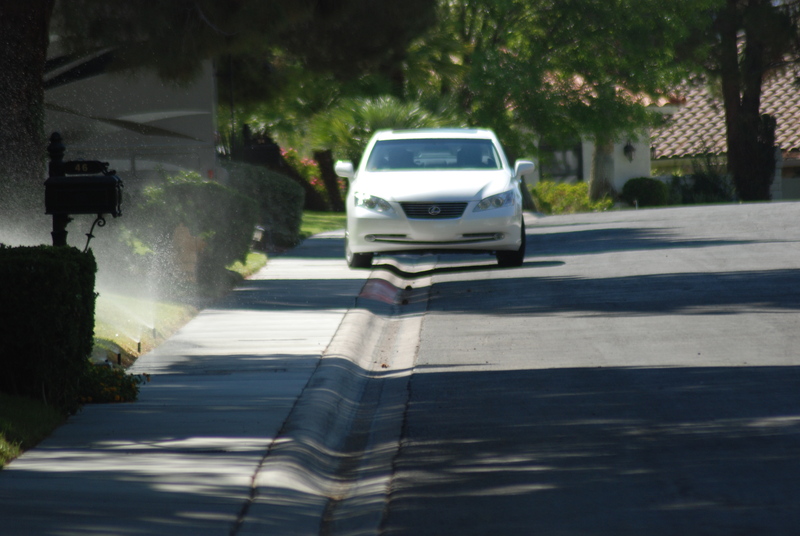 Homeowners often move into these planned communities and unwittingly sign documents that control their behavior in a multitude of ways. Failing to abide by these ‘personality and private behavior’ controls has cost thousands of homeowners their homes, their life savings and their peace of mind. 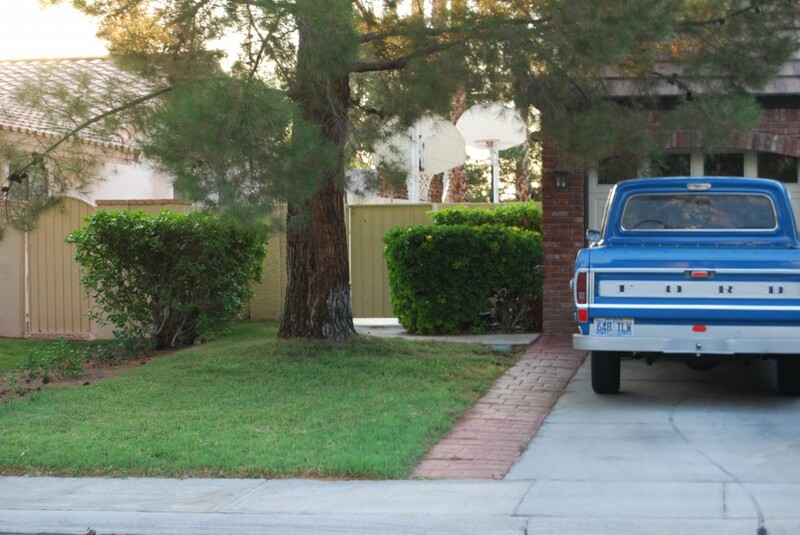 While HOAs were theoretically created to “protect property values”, there is incredible incentive for HOA board officers to “go rogue” and unnecessarily abuse fellow homeowners. This is exactly what has happened at Quail Summit! When this happens, neighborhoods are torn apart, property values plummet and lives are ruined. 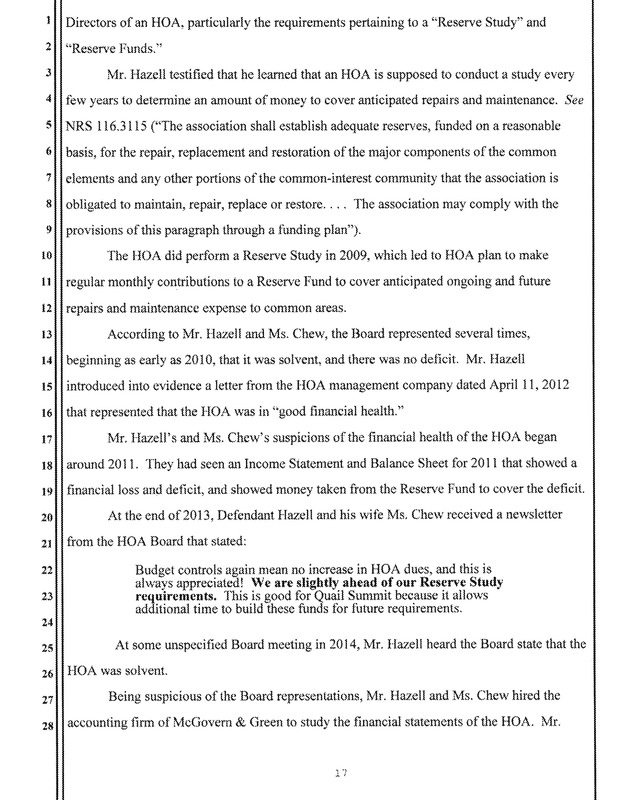 Another national scandal is the amount of financial corruption of HOA board members. In Las Vegas, federal indictments of dozens of well-known public figures show what happens when HOAs go out of control. These criminals can be stopped! 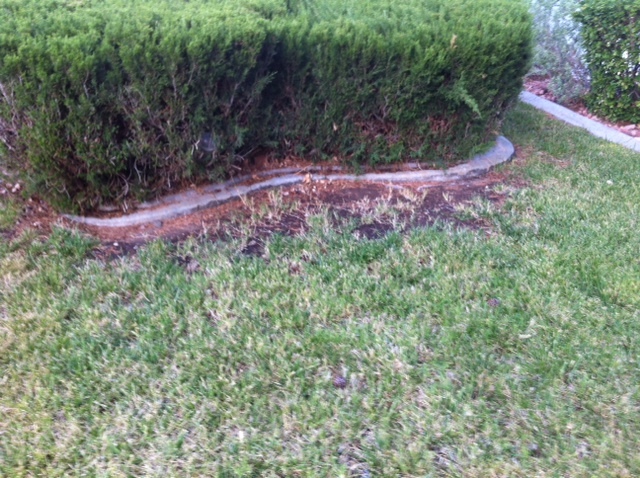 This is just one example of the Board using UNLICENSED CONTRACTORS which is illegal under NRS 116. 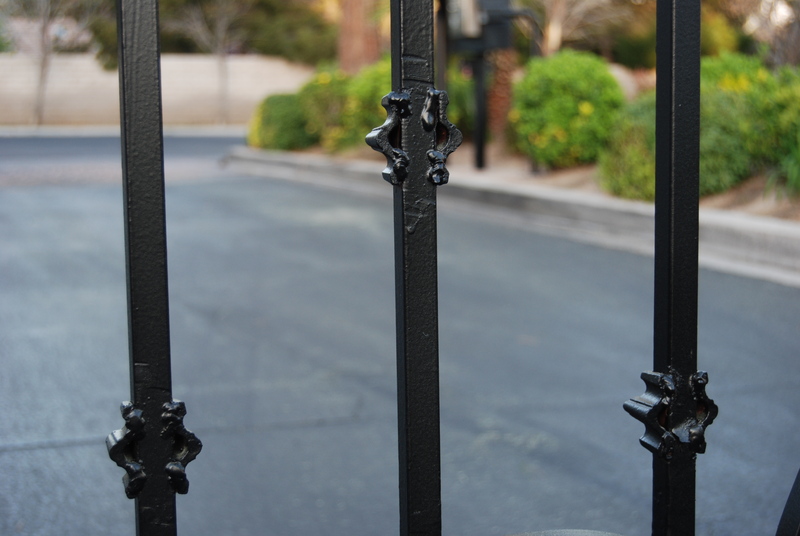 The front entry gates were done by Alumacast, as you can see this looks hideous, the welds are not professional and the gate had to be painted again since it was not done professionally! Here is an example of former FCCMI employee & Quail Summit CAM Gary Leobold’s ludicrous and outrageous behavior towards me! 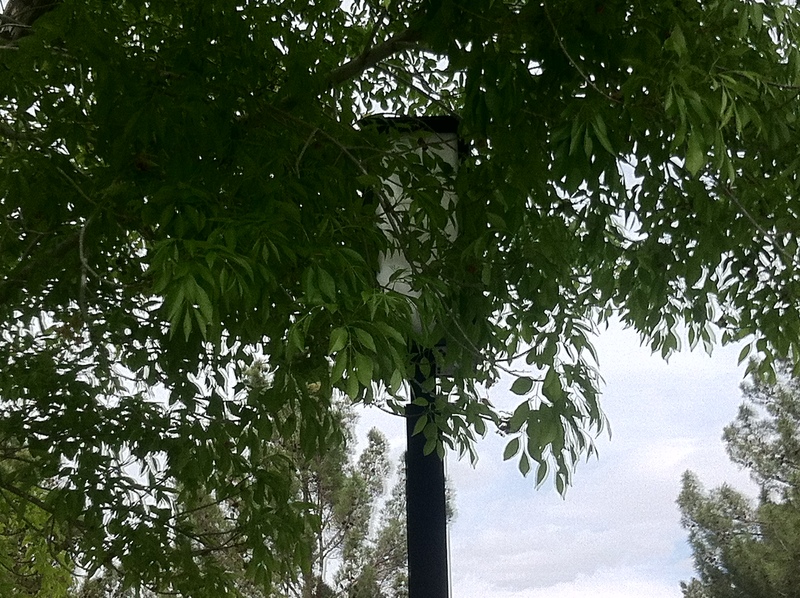 Quail Summit HOA Board member Babic Tree obstructing association streetlight and encroaching on neighbor’s property! 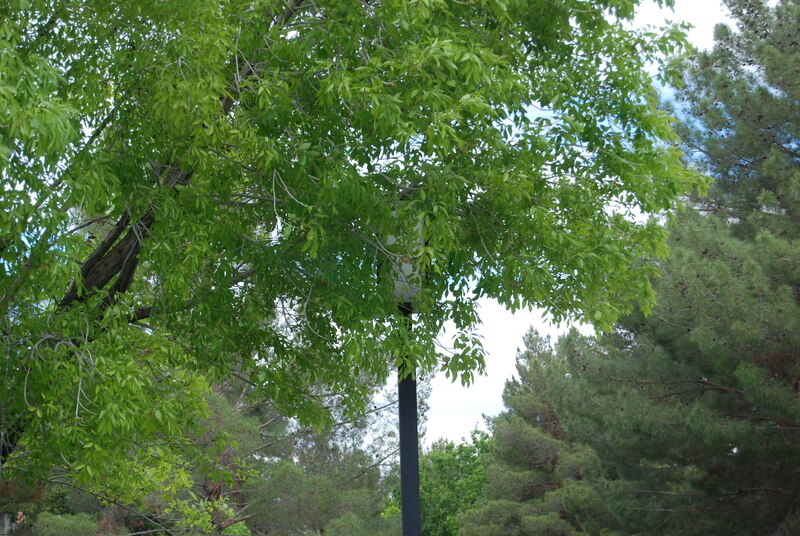 The tree was obviously “Materially Interferring”with the street light! NOTICE THE THE WORD “materially” is not included. This is creative wording AND CREATIVE INTERPRETATION OF YOUR CC&Rs on Leobold’s part! 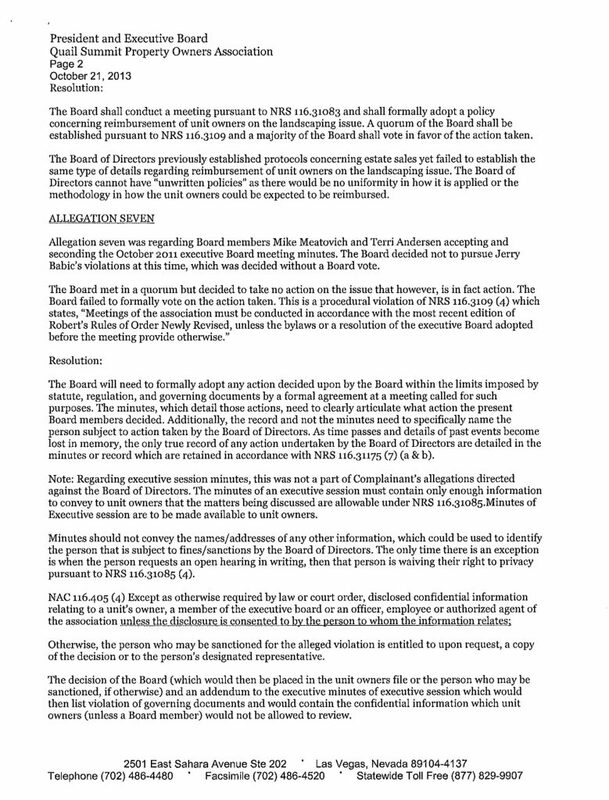 This is clearly indicative of SELECTIVE ENFORCEMENT to protect Jerry Babic who was ironically “suspiciously elected to the Board” and is a co-conspirator in retaliatory acts towards Hazell & Chew. Leobold is a bold face liar with no ethics or integrity!, His bias and favortism have been documented thoroughly! FCCMI needs to be fired! Hazell and Chew received a violation for their tree blocking association property when in fact it was the association tree that was blocking the stop sign!! 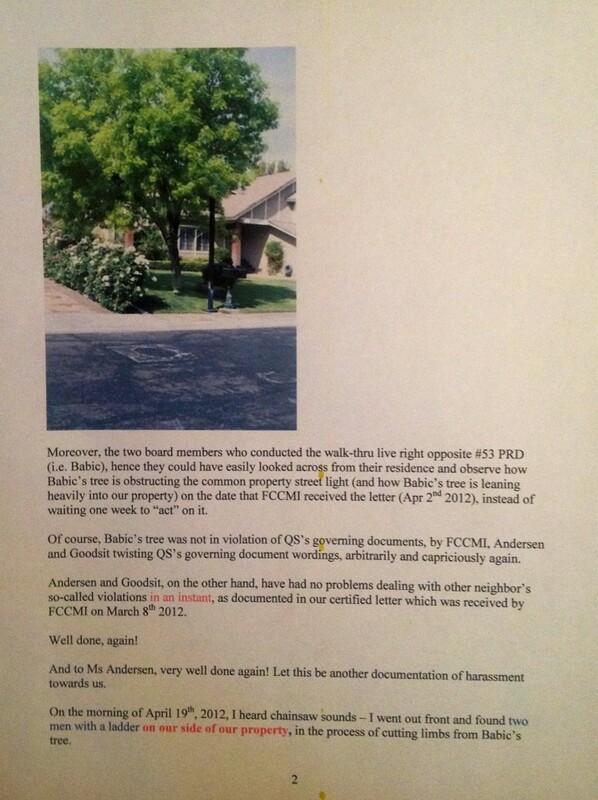 FCCMI came after them but gave board member BABIC a free pass WHEN HIS TREE WAS BLOCKING ASSOCIATION PROPERTY! Here is the picture that proves the Hazell tree was not blocking the street sign!! 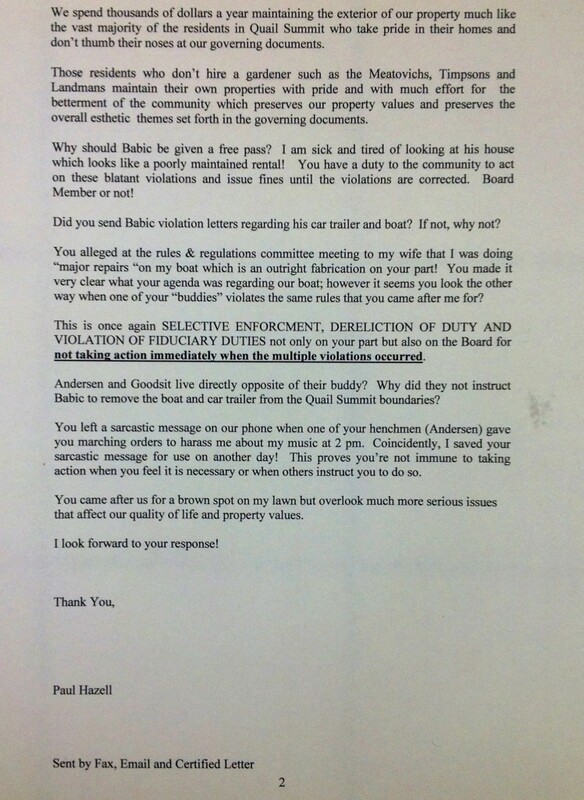 Leobold most recently harassed Paul Hazell demanding him to produce “State license and WC dec sheet” when Hazell gave the HOA a courtesy notice informing them that there would be maintenance being perfomed to his roof. 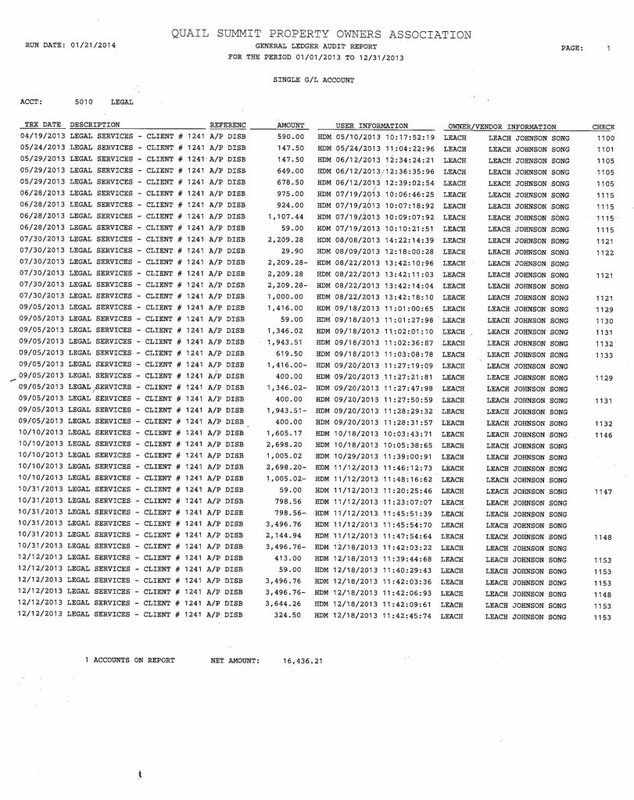 These repairs did not constitute the need for an ARC form to be filled out and there is nothing in Quail Summit’s Governing Documents or NRS Statutes that call for Hazell to produce the documents Leobold illegally requested. Blatant RETALIATION and HARASSMENT ON LEOBOLD’S PART! COINCIDENTALLY, THIS IS NOT THE FIRST TIME FCCMI HAS BEEN ACCUSED OF RETALIATION! 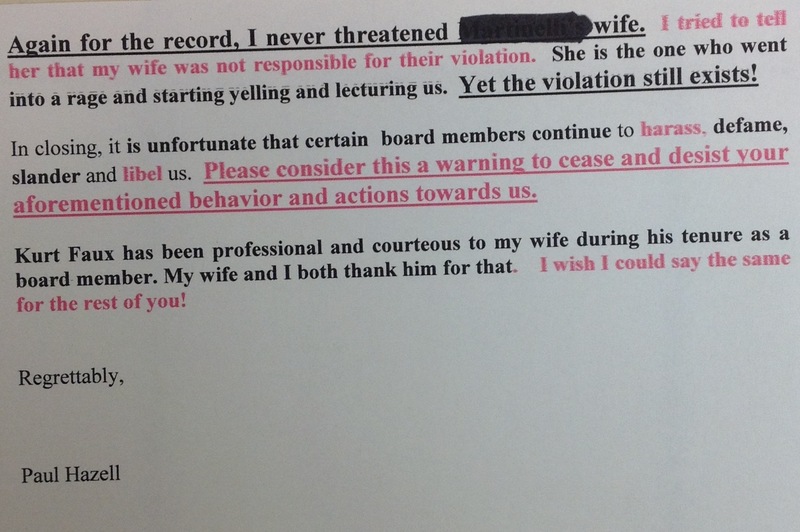 RETALIATION FROM A BOARD MEMBER IS ILLEGAL!! 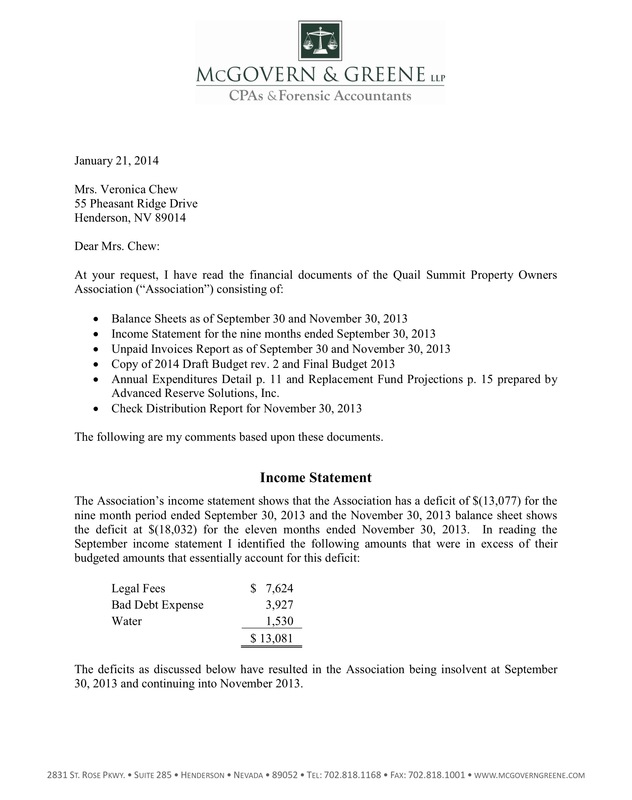 (c) Requested in good faith to review the books, records or other papers of the association. 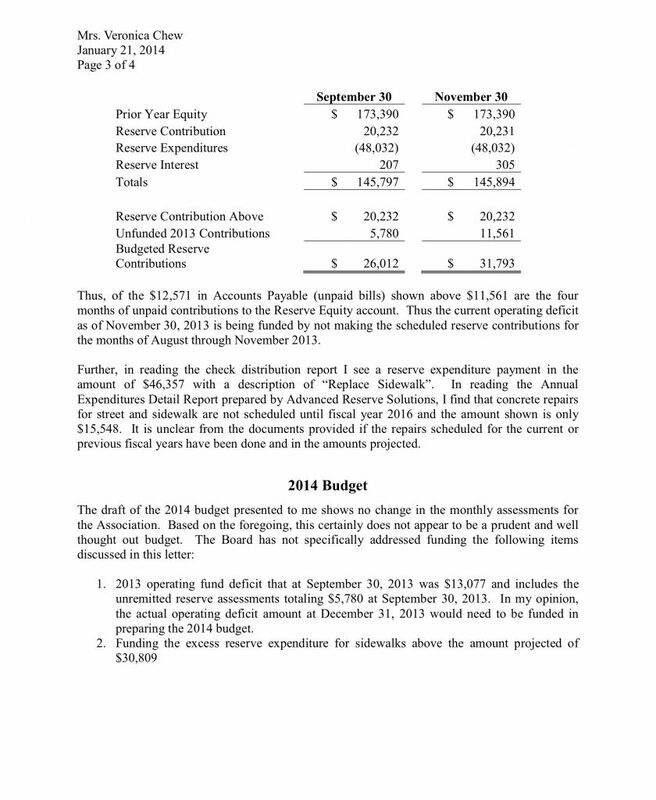 (b) Attorney’s fees and costs of bringing the separate action. Andersen Spying and HARASSING HAZELL & CHEW. Why is the board President taking pictures? Is this official Quail Summit business or HARASSMENT? 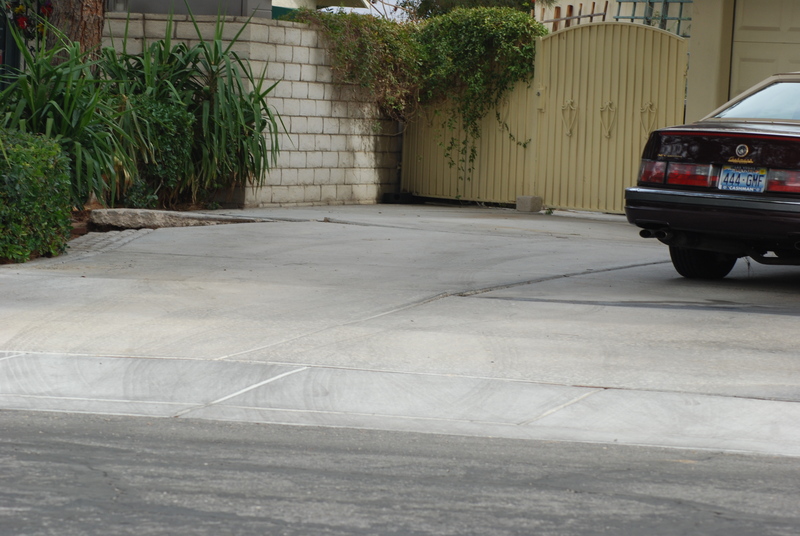 Saturday August 10, 2013 Andersen was witnessed taking pictures of the Hazell residence at 11:10 am. 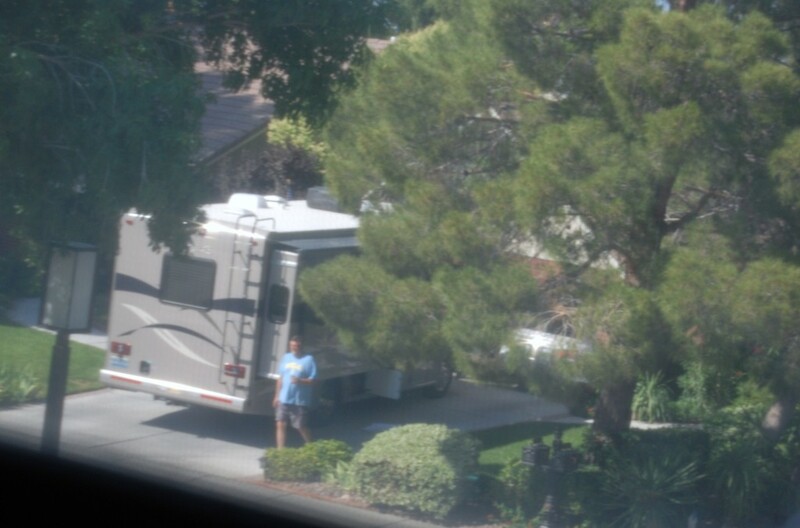 Why would she be taking pictures of Hazell’s house? Hazell caught her when he was pulling up to his driveway in his Ferrari. 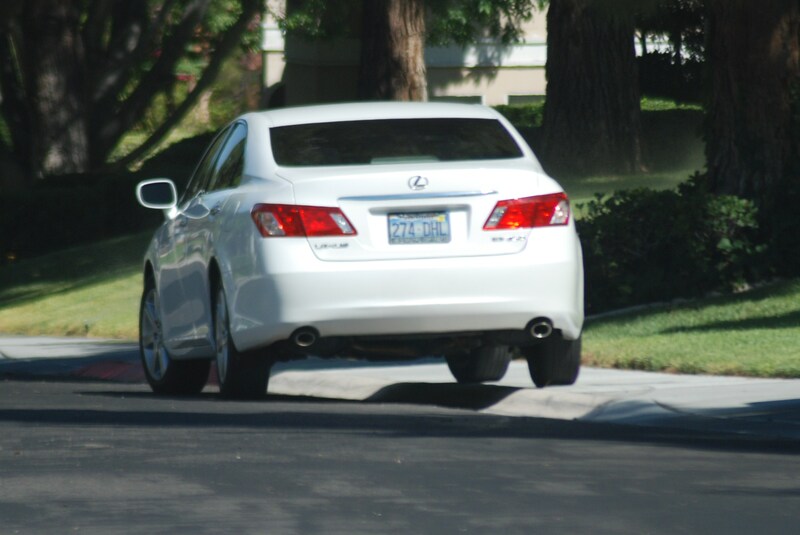 GOOSIT LEXUS CLEARLY PARKED ON SIDEWALK!! DID ANDERSEN DOCUMENT THIS WITH HER PICTURE TAKING? DO AS I SAY NOT AS I DO!! GOODSIT THINKS THE RULES DON’T APPLY TO HER! Andersen Taking Picture on April 19, 2012 of Veronica Chew . 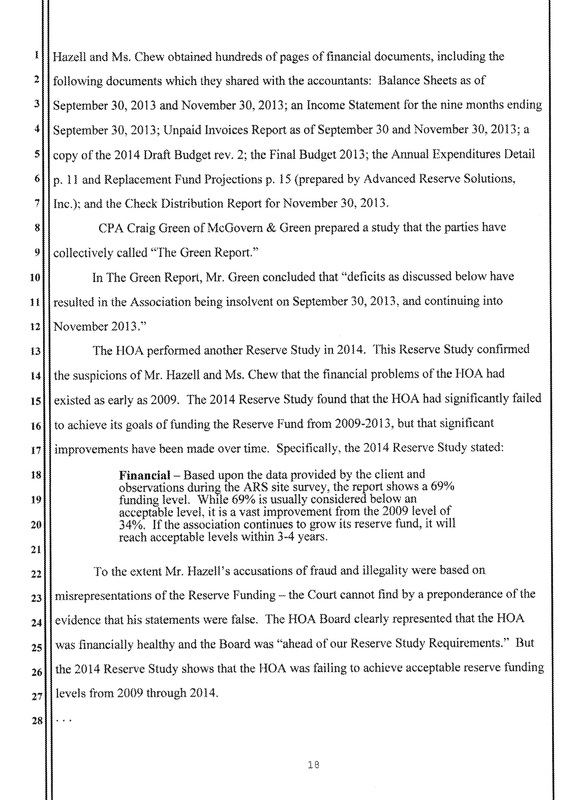 Andersen wrongly accused Chew of cutting Babic’s tree without ARC approval. 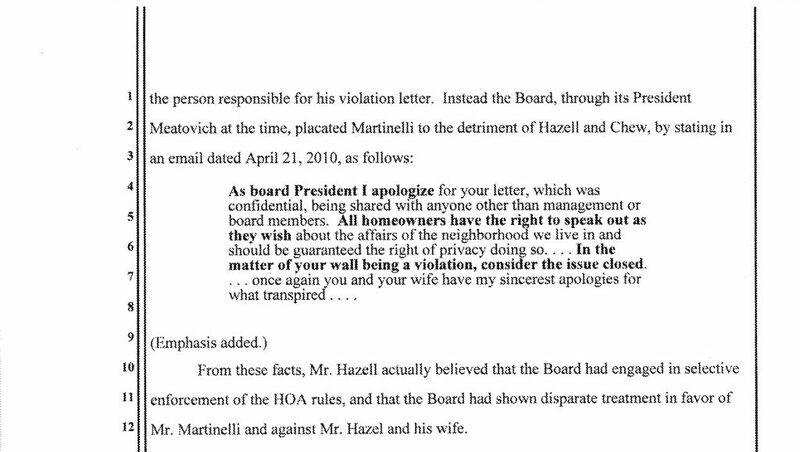 The fact is that Babic (a board member at that time) did not get prior ARC approval and did not inform his neighbors that his contractors were going to trespass on the Hazell residence in order to cut Babic’s illegal tree. So why was Andersen Harassing Chew? 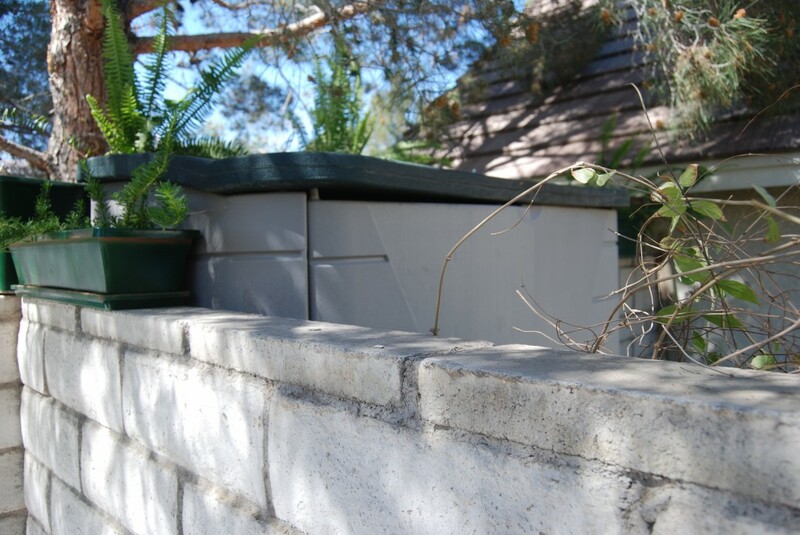 These planters were recently added by Goodsit to cover up her ILLEGAL SHED that violates setback and architectural standards set forth in the GOVERNING DOCUMENTS! DOES THAT ROOF MATCH HER HOUSE? A BLATANT AND PATHETIC ATTEMPT TO COVER UP A VIOLATION THAT HAS BEEN THERE FOR YEARS IN RESPONSE TO THIS WEBSITE! This lady serves on the Board and is ARC Chairman!! THESE PLANTER BOXES ARE HIDEOUS ! ARE THEY CONSISTENT WITH THE ARCHITECTURAL GUIDELINES, ARC STANDARDS AND DOCUMENTS? 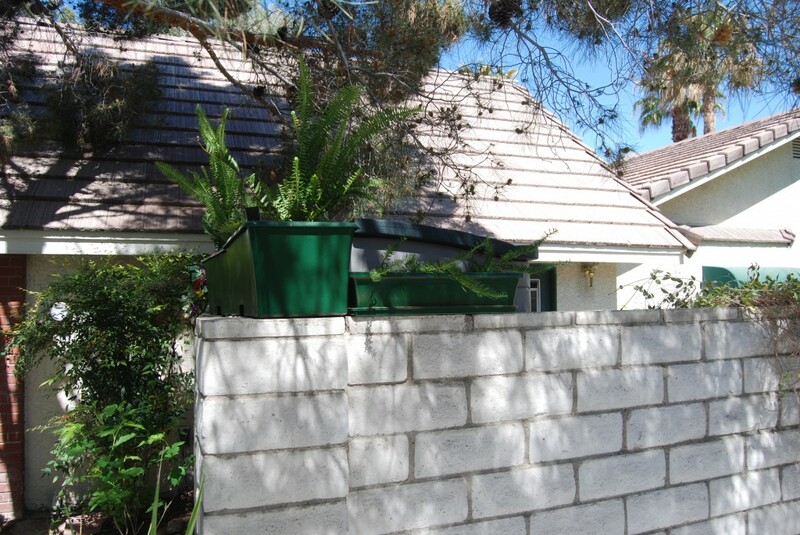 GOODSIT REMOVED HER ILLEGAL SHED AND HIDEOUS PLANTERS IN JULY 2013 AFTER THIS WEBSITE WAS PUBLISHED. 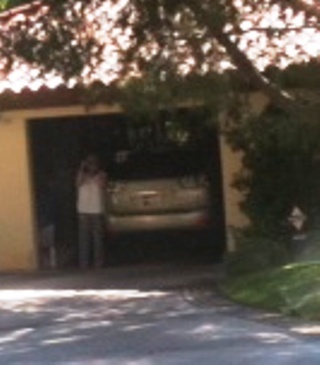 Board Member Babic leaving Goodsit residence. Goodsit has parked this illegal eyesore in her driveway and on the common street many times. The jacks are down!, The generator is running and the slide-out is extended! Day Camping at Quail Summit!!!! PUBLIC NUISSANCE AND OBVIOUS VIOLATION OF CC&Rs unless your a board member. Selective Enforcement by two faced hypocrites!!!! Camp Goodsit at Quail Summit!!! Now this does not bring property values down? GOODSIT AND ANDERSEN WRONGLY CAME AFTER HAZELL REGARDING HAZELL’S BOAT AND FALSELY ACCUSED HIM OF DOING “MAJOR REPAIRS” ON HIS BOAT WITHIN QUAIL SUMMIT!! I GUESS THAT ONLY APPLIES TO NON BOARD MEMBERS! GOODSIT THINKS THE RULES DONT APPLY TO HER! Hulse is on record insulting and verbally attacking Paul Hazell. 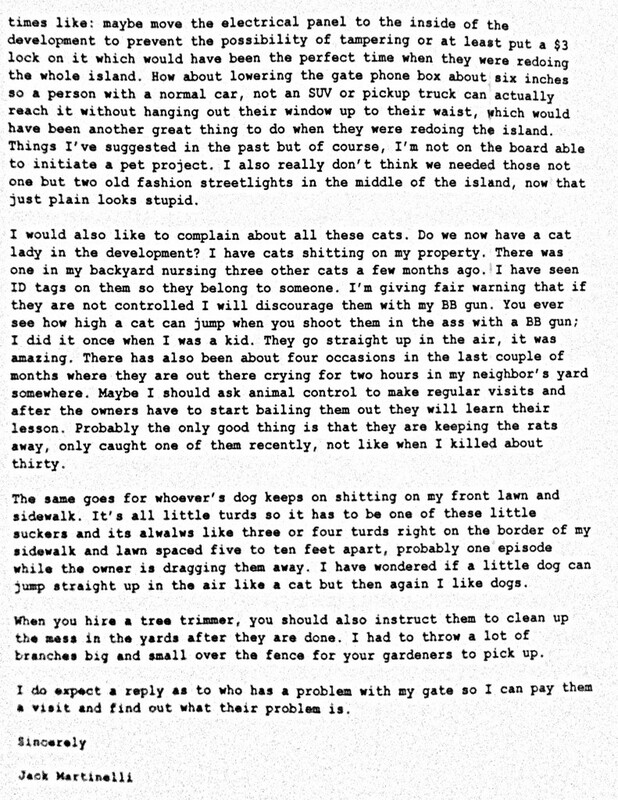 Hazell lives in Quail Summit and on the day of one of Hulse’s many attacks AGAINST HAZELL, brought pictures and a formal letter of complaint to the board regarding his neighbors poorly maintained residence who ironically was Jerry Babic ,who also was a board member. 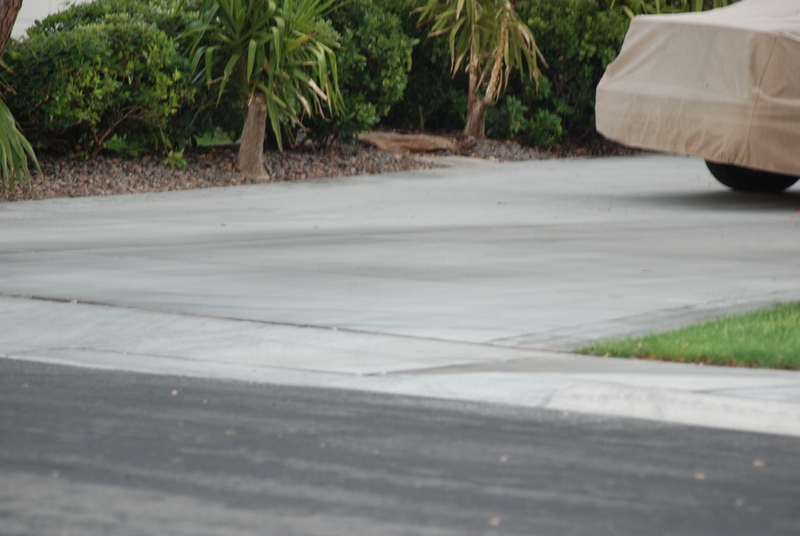 This incident occured on November 28, 2011 at the Hulse residence during the monthly Quail Summit Board Meeting. In attendance were Hazell and his ex-wife, Pam Ghertner, Suzanne Moon, Sue Wirshing, Mike Meatovich (former HOA President), Terri Andersen, Kurt Faux and Gary Leobold of FCCMI. This confrontational and inappropriate adolescent behavior is unacceptable for any rational adult especially a Quail Summit Director who has a “Fiduciary Duty” to Hazell and all the other homeowners! This “Commerical Vehicle ” was an eyesore for years! and violated the governing documents. 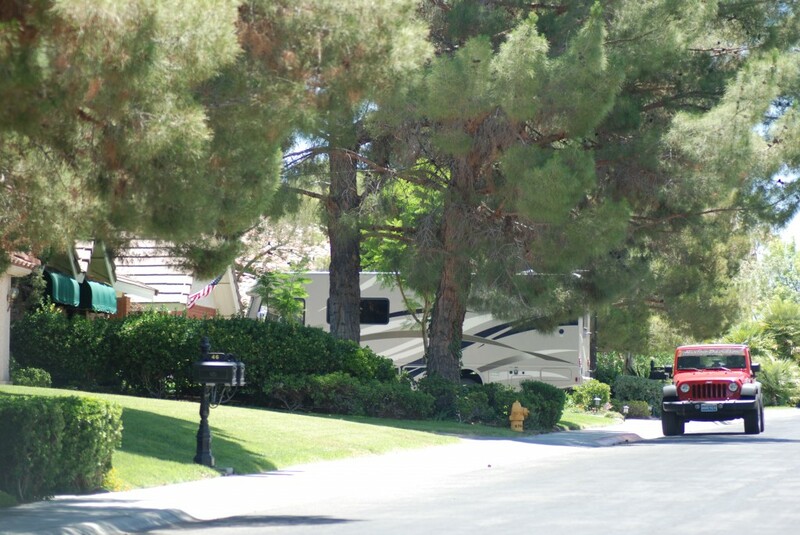 Other residents were targeted for this offense and were forced to park outside the community! NO RESPONSE FROM EITHER OF THEM! The Quail Summit Board of Directors were put on notice numerous times! 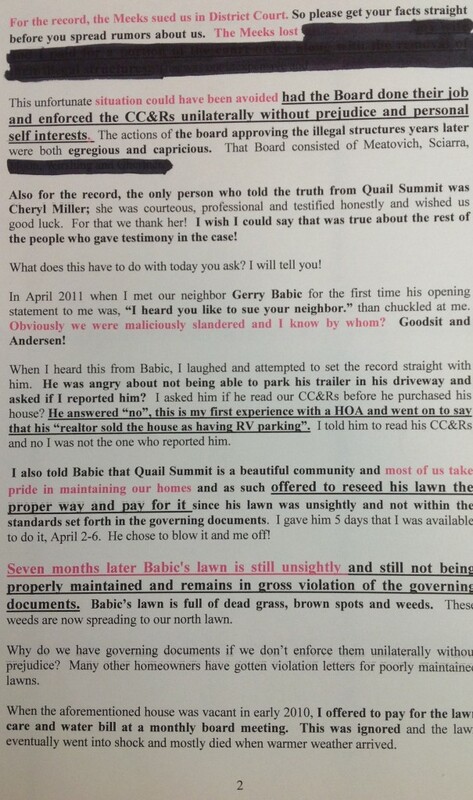 Ever since Babic moved into Quail Summit Babic was ALLOWED TO VIOLATE numerous Quail Summit CC&Rs and Rules & Regulations. Babic has verbally assaulted, threatened and performed lewd acts towards me. These acts have been reported to FCCMI AND THE HENDERSON PD! 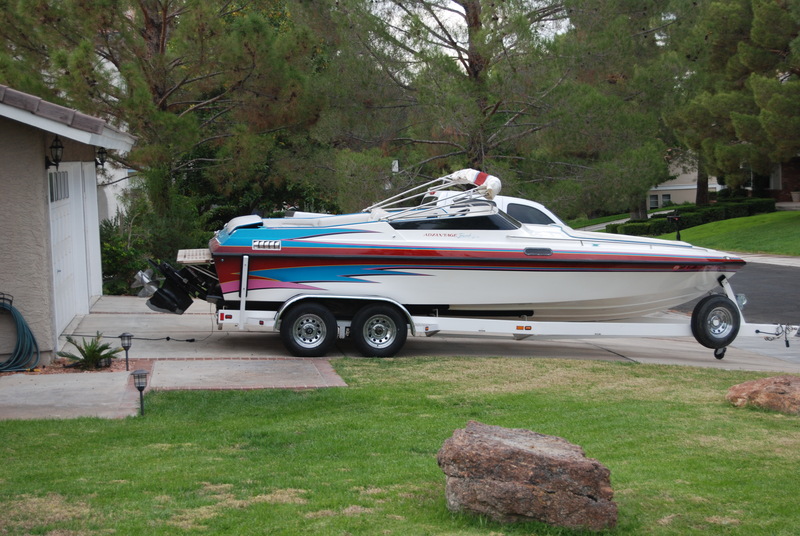 On one such attack on Nov 2, 2012 at 11:39 am, Babic parked his boat in front of my residence and proceeded to verbally assault me after I questioned Babic about him constantly breaking the CC&Rs. Babic engaged in an offensive and lewd act by pulling his shorts down in front of me and exposing himself ! Babic’s late nite arrivals after midnight on his obnoxiously loud chopper is indicative of the lack of respect he has for the Quail Summit community! Sunday February 3, 2012 06:58 Babic woke his neighbors up once again revving his ridiculous AND obnoxiously loud CHOPPER FOR SEVERAL MINUTES! HARASSMENT PURE AND SIMPLE! & CLEARLY A PUBLIC NUISANCE TO THE COMMUNITY!!! on Thursday May 16, 20113 AT 5:31 PM Jerry Babic gave Paul Hazell an obscene and vulgar gesture while exiting the community on his public nuisance chopper. 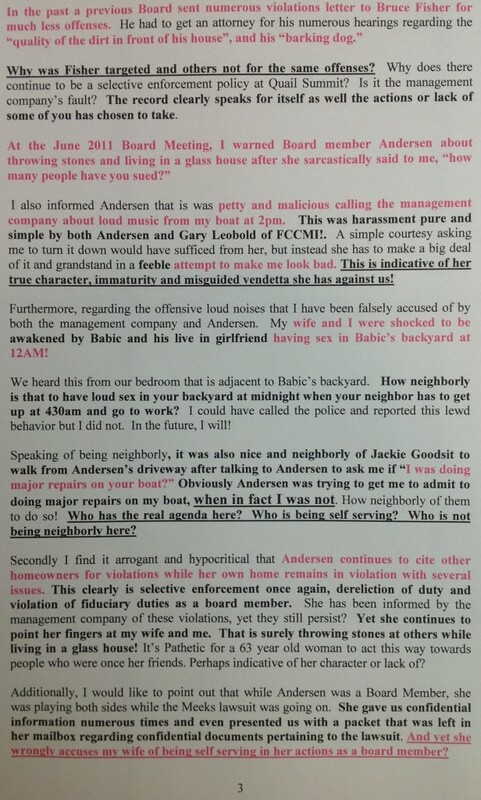 This is another egregious example of Babic’s complete and utter disrespect he had for his neighbors! 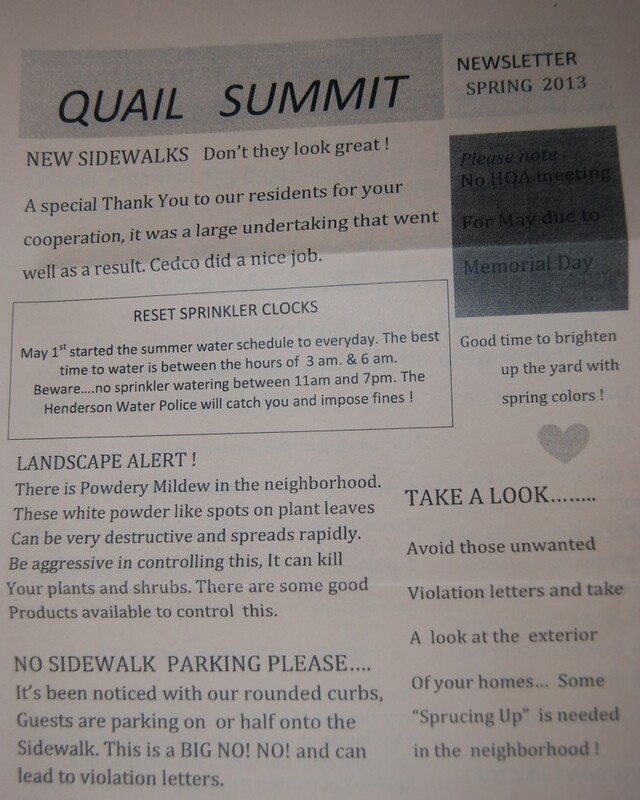 DO YOU THINK THIS CONDUCT TOWARDS HAZELL IS ACCEPTABLE FOR A QUAIL SUMMIT BOARD MEMBER? This video was taking on or about 730 am on a Sunday! 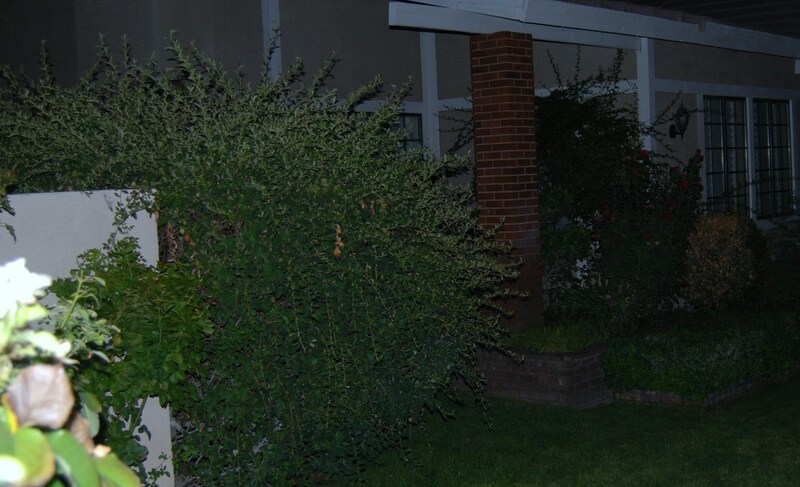 The Henderson Police agreed that this is clearly a “public nuisance and exceeded their noise ordinances” Babic’s neighbor really appreciated being woken up to “gangster rap” after a long 16 hour work day! Thank You Babic! Harassment Pure & Simple! IS THIS THE KIND OF PERSON YOU WANT TO LIVE NEXT TO? 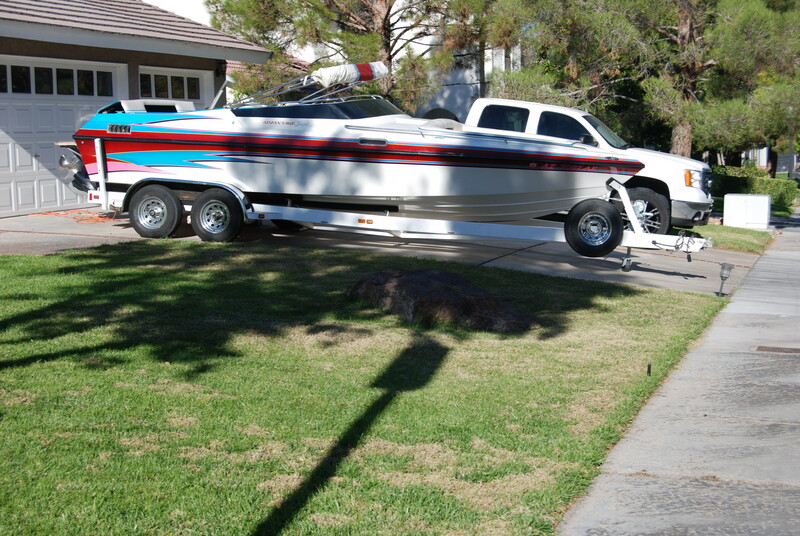 IS THIS THE KIND OF PERSON YOU WANT RUNNING YOUR HOA? 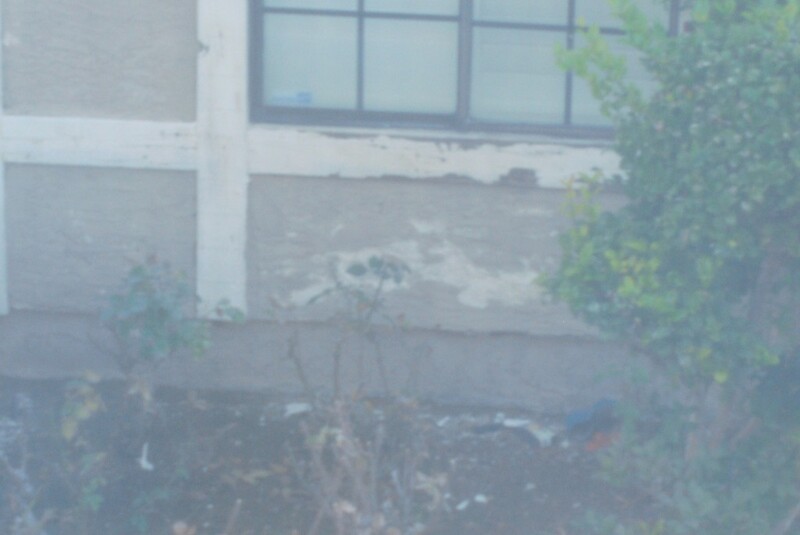 Board Member Hypocrosy _Pics of their own Violations! Yet Andersen on one of her “walk throughs with FCCMI” cited homeowner MARTINELLI for “having a gap between his wall and gate” AND THEN LET VERONICA CHEW TAKE THE BLAME! CLEARLY A DOUBLE STANDARD AND SELECTIVE ENFORCEMENT! 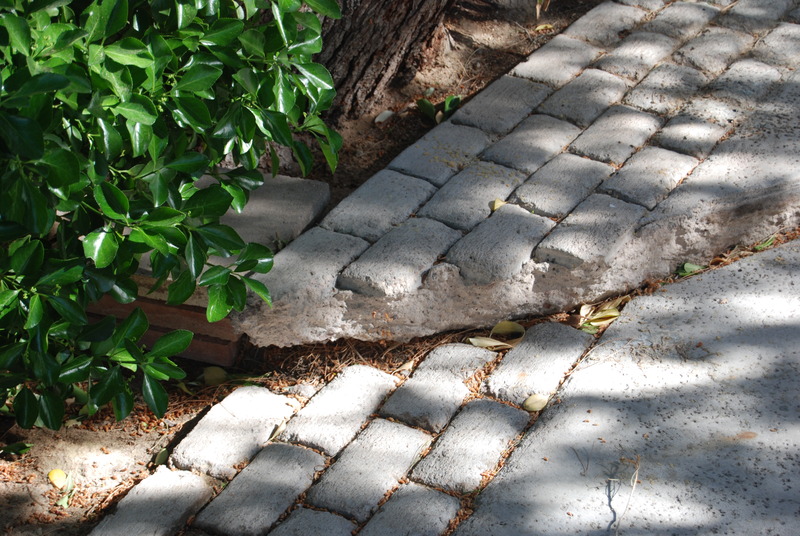 ANDERSEN HAD BEEN ON YOUR BOARD FOR NEARLY FIVE YEARS AND BOTH HER AND FCCMI WERE PUT ON NOTICE YEARS BEFORE ANDERSEN HAD HER DRIVEWAY FIXED TO CONFORM TO THE GOVERNING DOCUMENTS! THIS STILL DOES NOT ERASE THE LONG HISTORY OF SELECTIVE ENFORCEMENT! 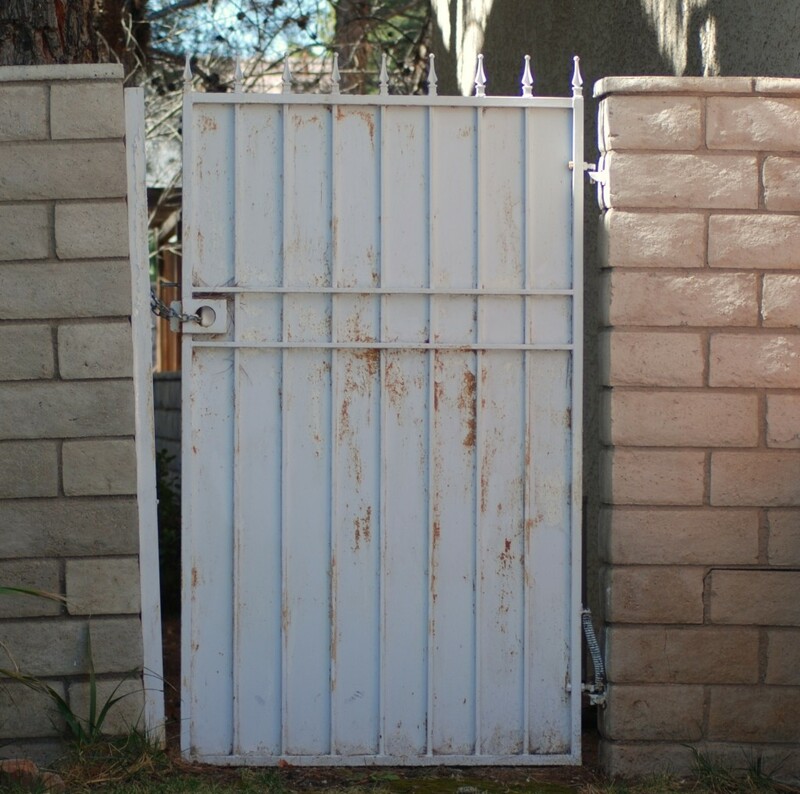 ANDERSEN’S GATE secured with a block for over 8 years! 5 of which Andersen served on the board! 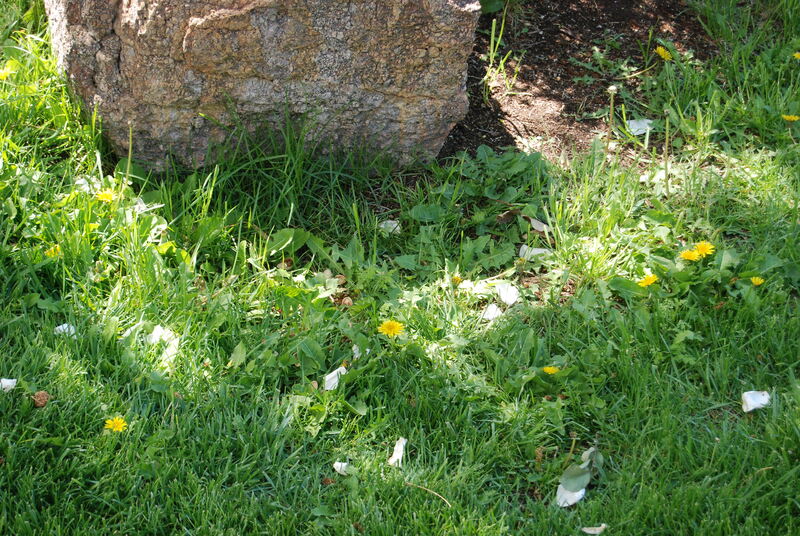 June 9, 2013 Tree Stump clearly visible from the street at Andersen residence. 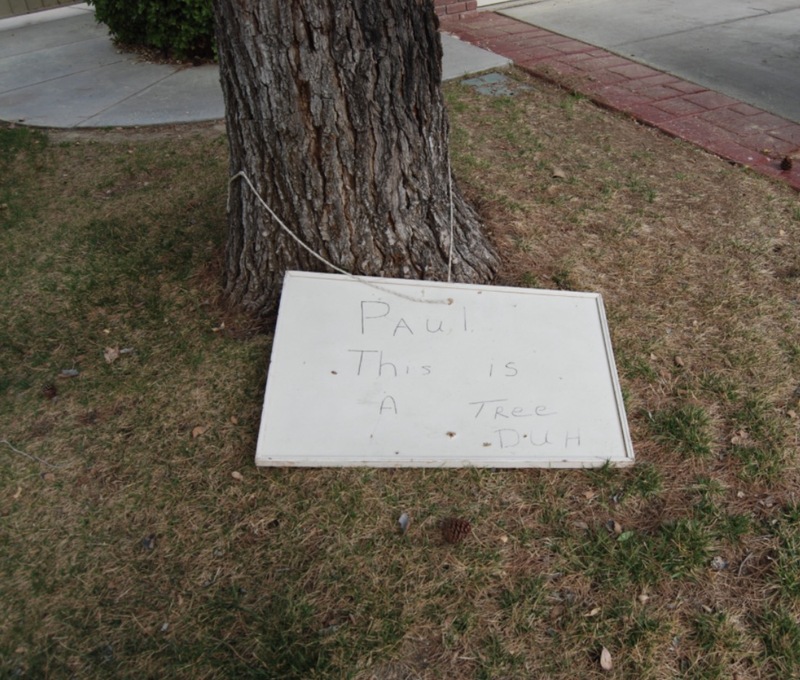 Hazell received a violation for a tree stump in front of his house and had to incur a large expense to have it removed. Andersen’s clearly visible tree stump was an eyesore and should be removed as other residents were made to do. 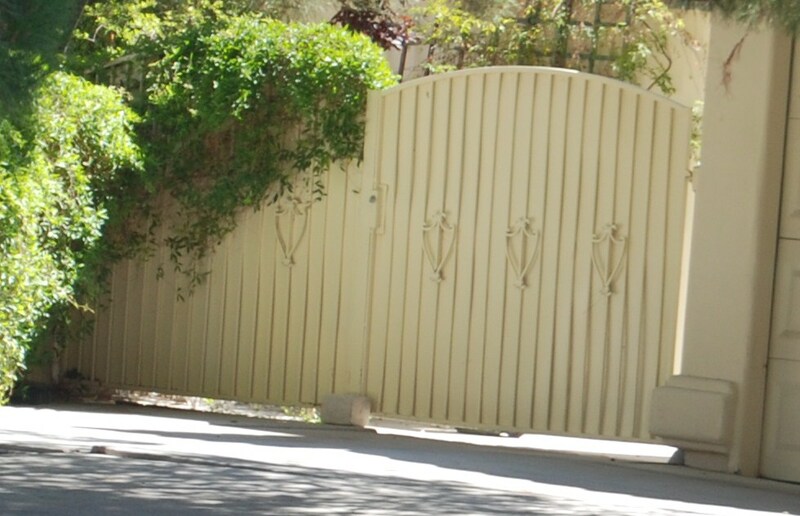 ANDERSEN IN JULY 2013 HAD THIS ILLEGAL BRIDGE TO HER NEIGHBORS HOUSE REMOVED AFTER IT WAS DOCUMENTED ON THIS WEBSITE! 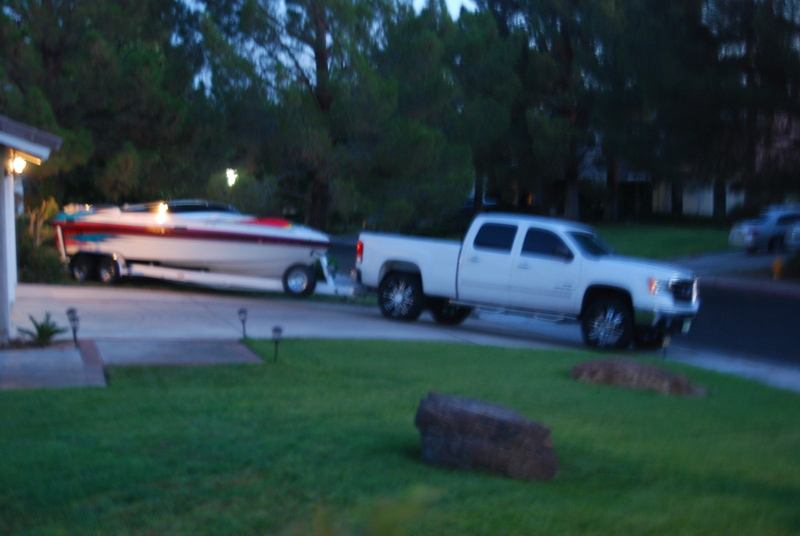 Illegal Babic Boat Parking & Illegal Maintenance Being Performed- I was accused by Leobold, Goodsit and Andersen of “doing major repairs” on my boat when in fact it was not the case and I never parked my boat overnite illegally like Babic did repeatedly! “SELECTIVE ENFORCMENT” AT ITS BEST! Violation of Fiduciary Duty as a Board Member! He knew better but just did not care! 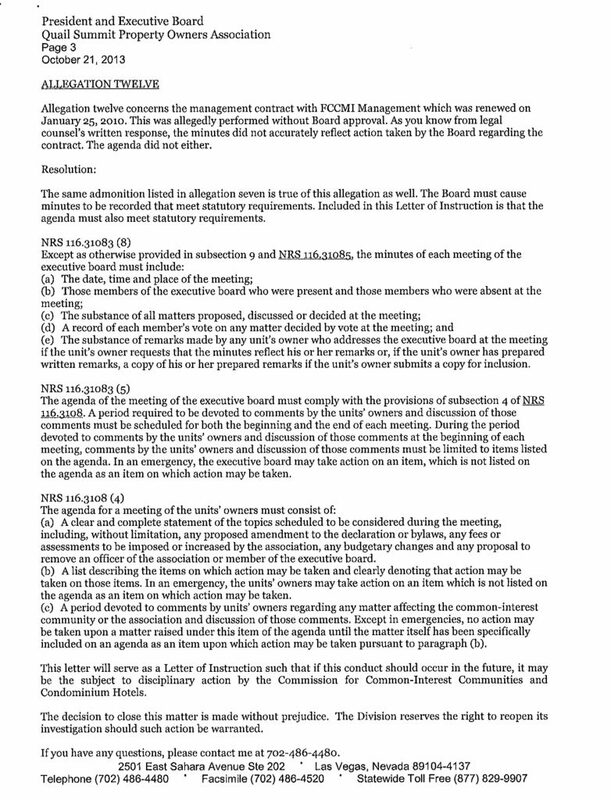 Babic “thumbed his nose” at the CC&Rs and Rules and Regulations!! 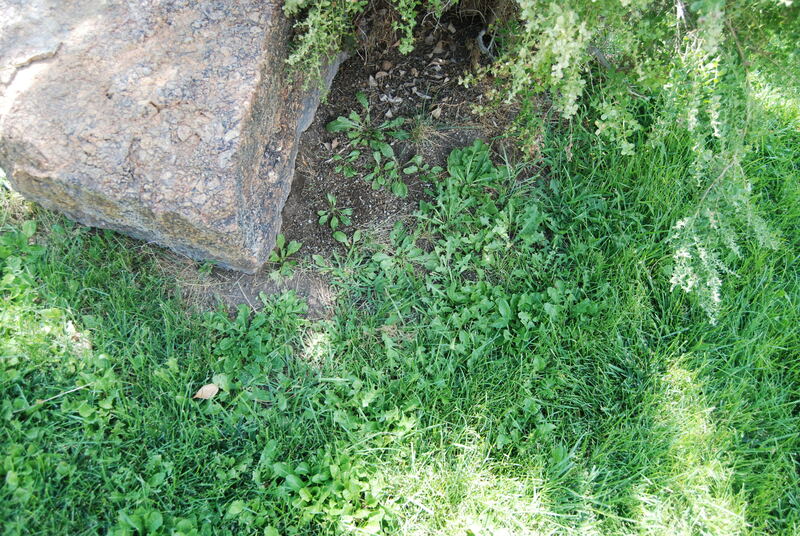 WEED INFESTED PLANTER AT BABIC FORMER RESIDENCE. TOTAL VIOLATION OF THE ARCHITECTURAL STANDARDS SET FORTH IN THE GOVERNING DOCUMENTS! 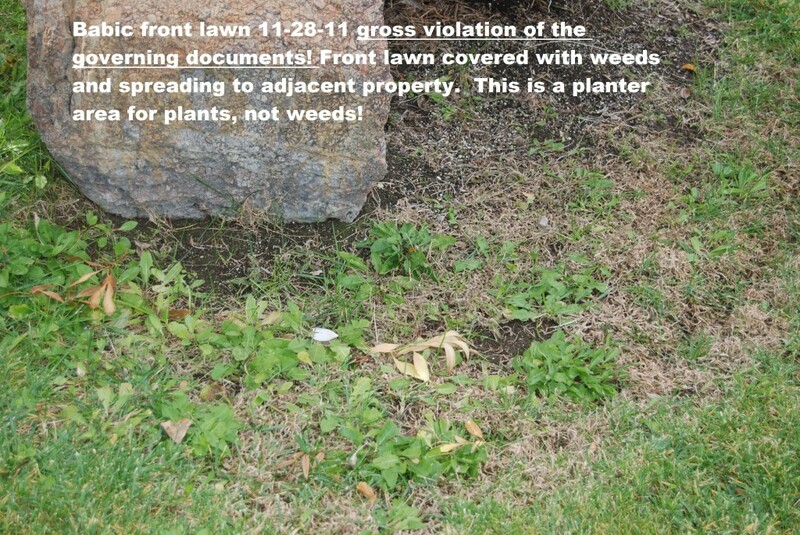 More infested weeds at Babics former improperly maintained property! Hazell received multiplpe petty violation letters for, exposed irrgation lines, smoke on his chimney and mismatched colors on his entry doors. 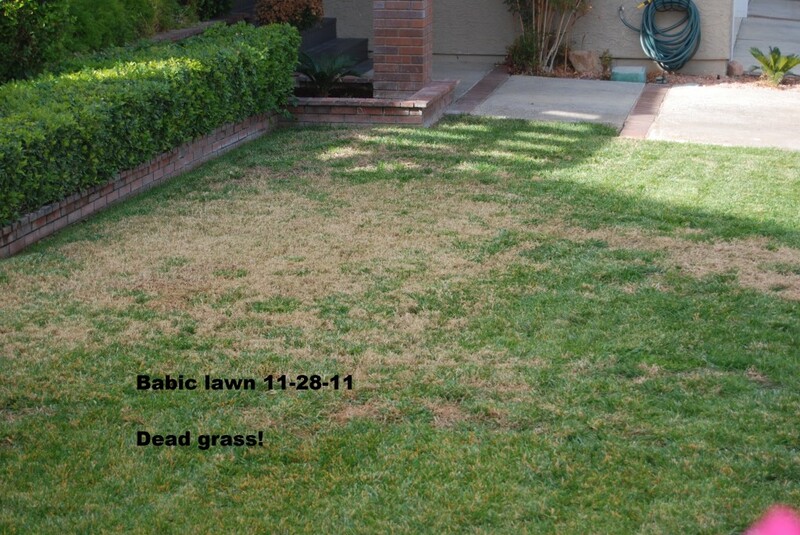 The Board overlooked Babic’s lawn issues for years! Retaliatory against Hazell, Violation of Fiduciary Duties for not equally enforcing the govening documents without prejudice or favortism! 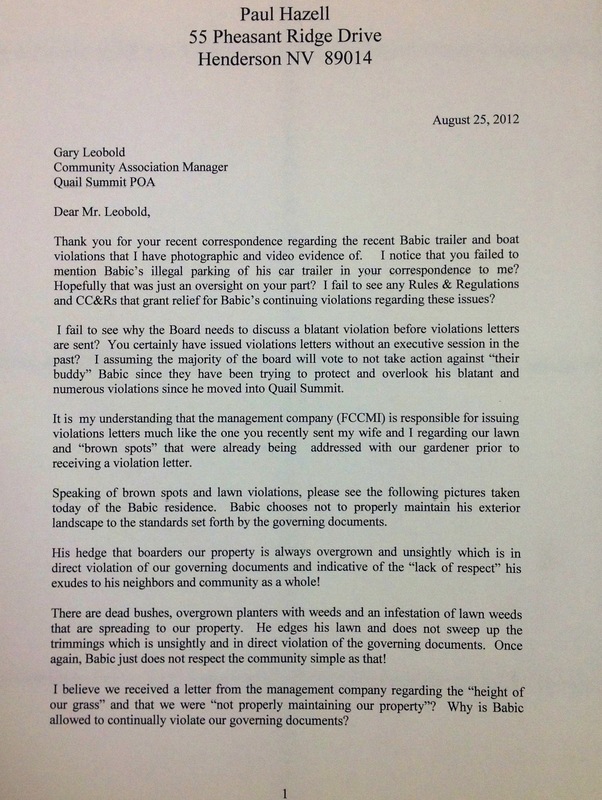 Why was Babic allowed to keep violating the CC&Rs and Rules and Regulations? 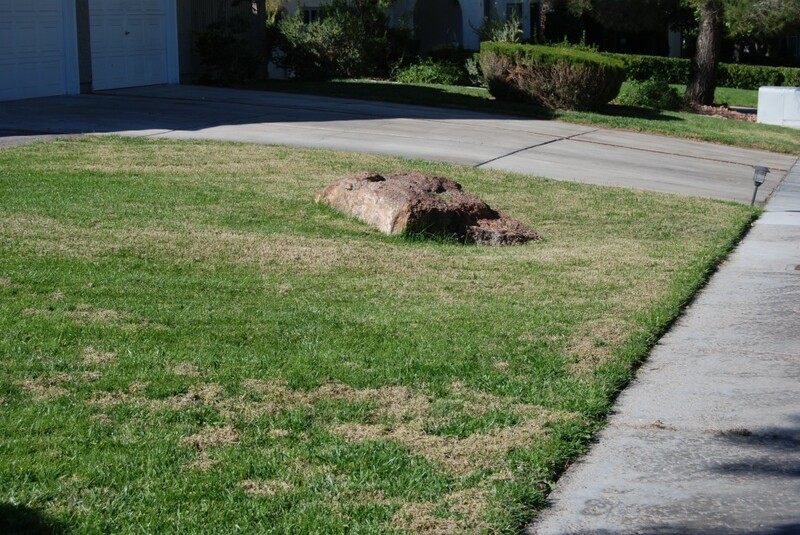 Poorly maintained front lawn, dead grasses! 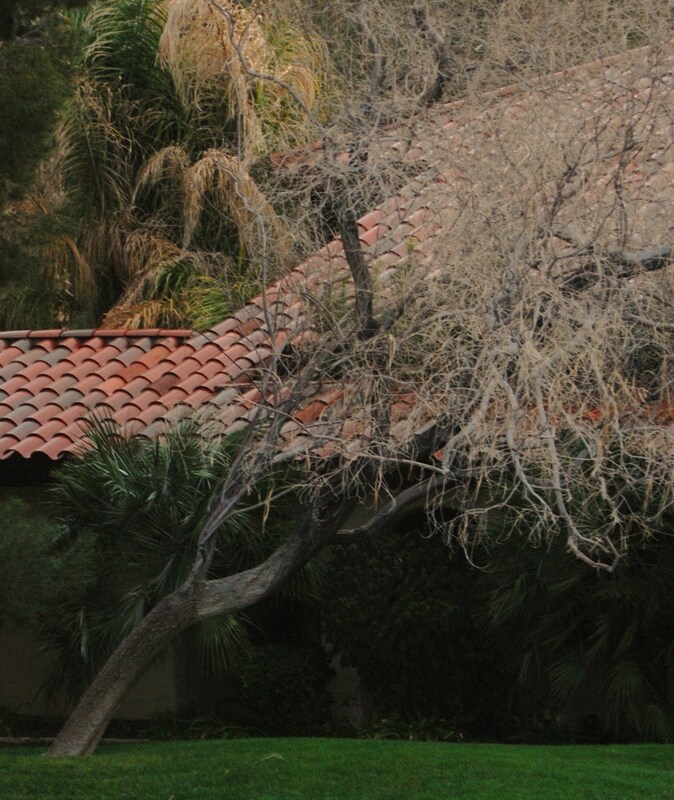 The HOA industry continues working to remove your rights. Quailsummitharassmentassociation provides the quailsummitharassmentassociation.com Web site as a service to the public and Web site owners. Quailsummitharassmentassociation is not responsible for, and expressly disclaims all liability for, damages of any kind arising out of use, reference to, or reliance on any information contained within the site. While the information contained within the site is periodically updated, no guarantee is given that the information provided in this Web site is correct, complete, and up-to-date. Although the Quailsummitharassmentassociation Web site may include links providing direct access to other Internet resources, including Web sites, Quailsummitharassmentassociation is not responsible for the accuracy or content of information contained in these sites. Links from Quailsummitharassmentassociation to third-party sites do not constitute an endorsement by Quailsummitharassmentassociation of the parties or their products and services. The appearance on the Web site of advertisements and product or service information does not constitute an endorsement by Quailsummitharassmentassociation, and Quailsummitharassmentassociation has not investigated the claims made by any advertiser. Product information is based solely on material received from suppliers.